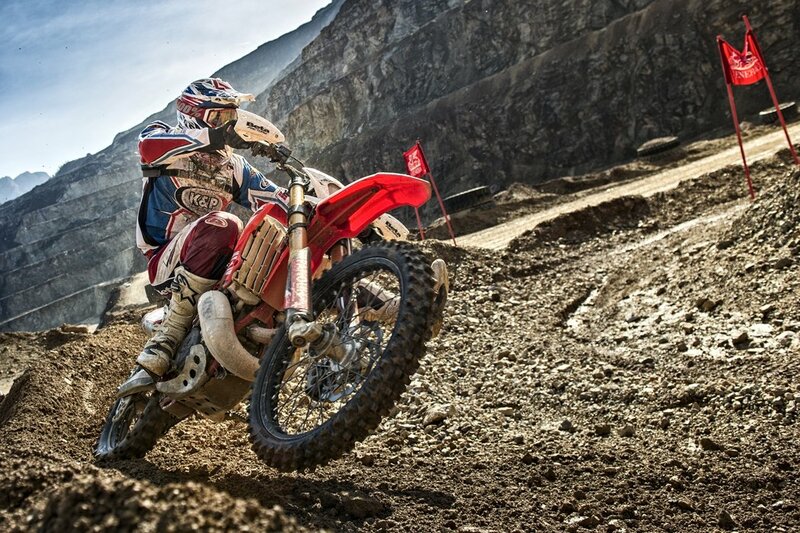 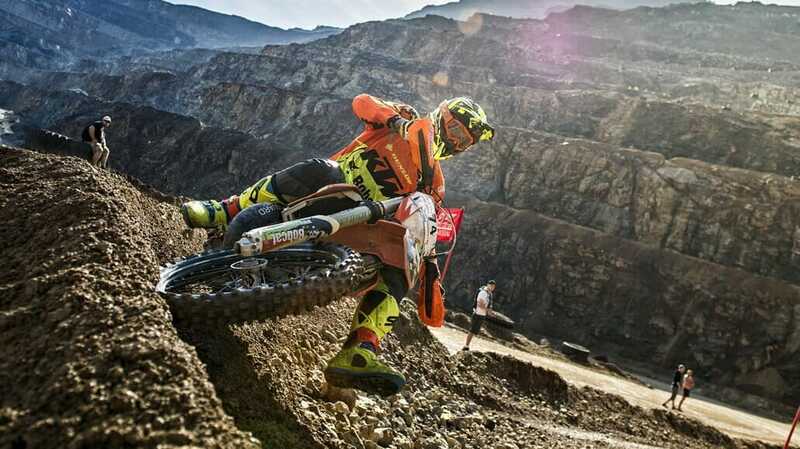 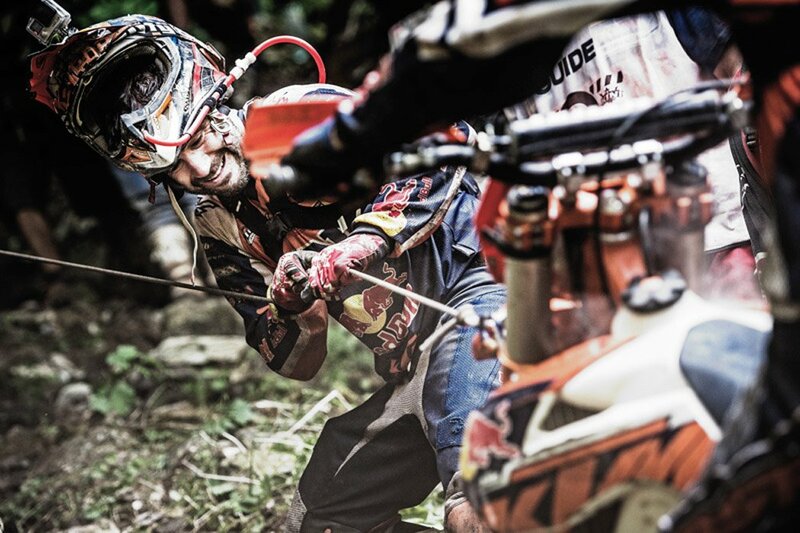 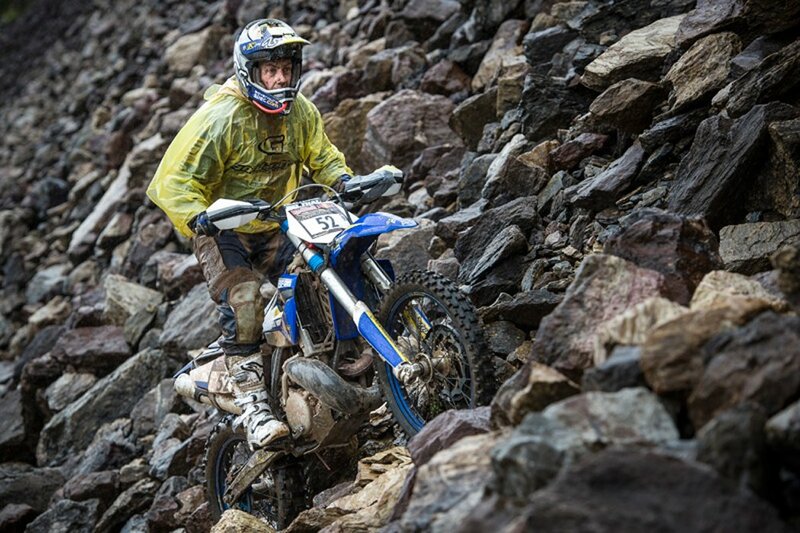 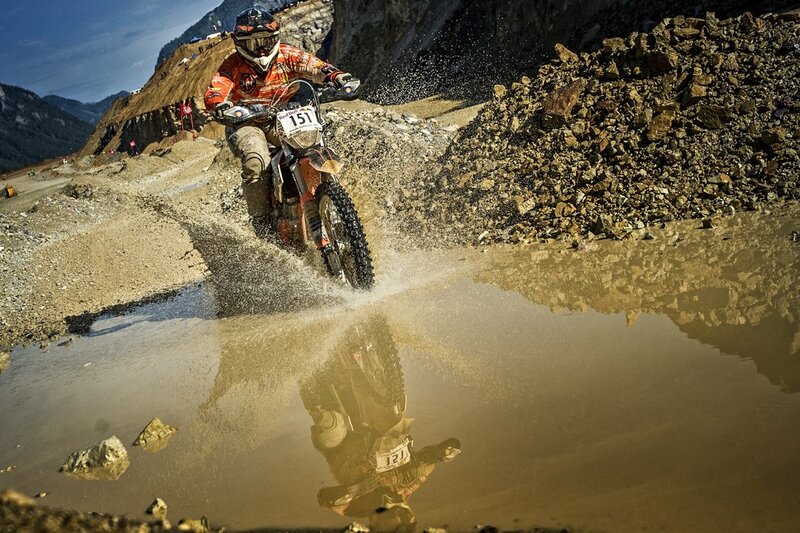 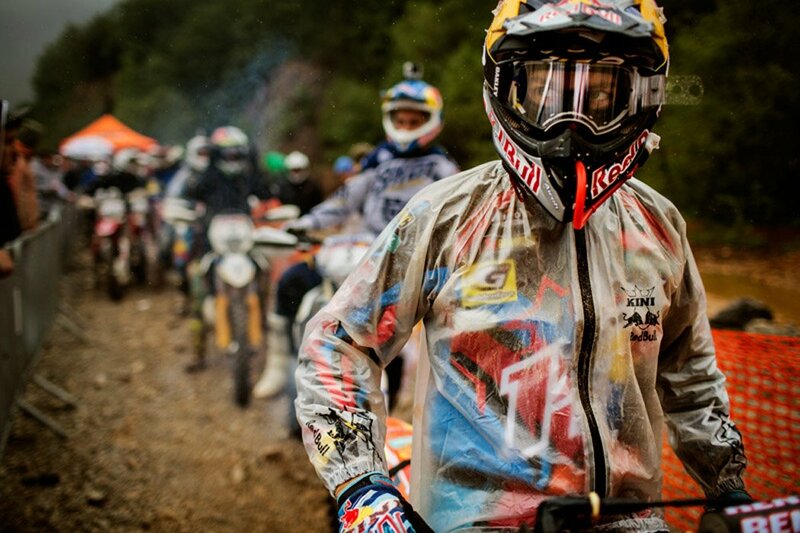 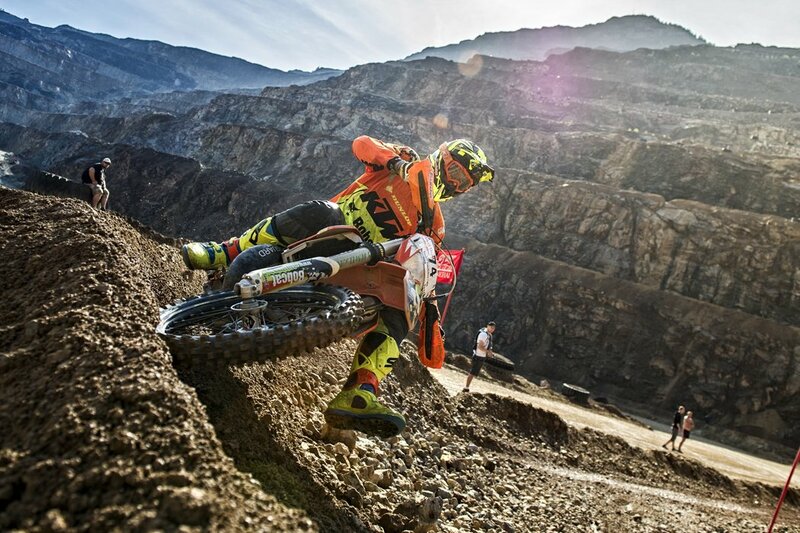 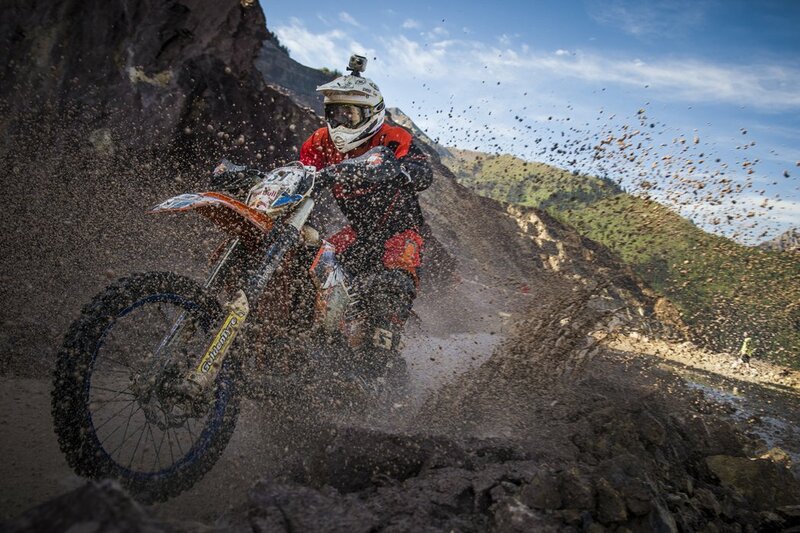 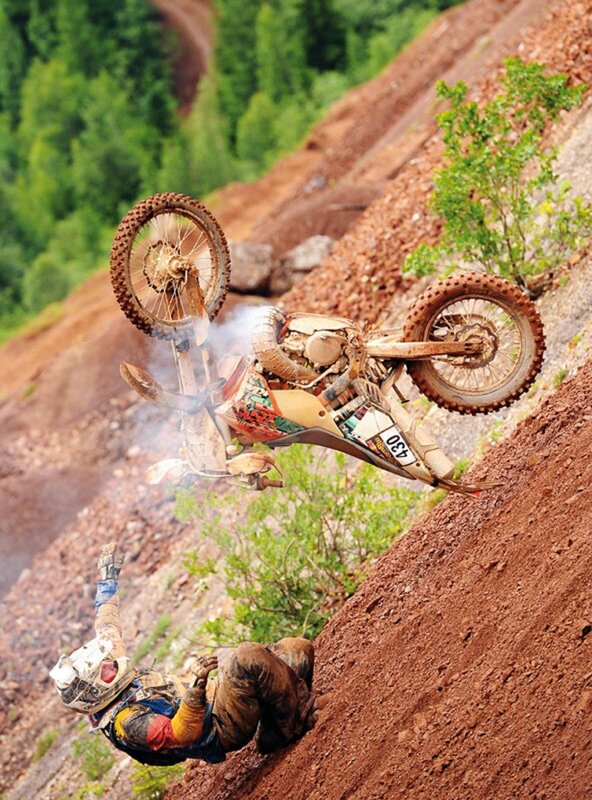 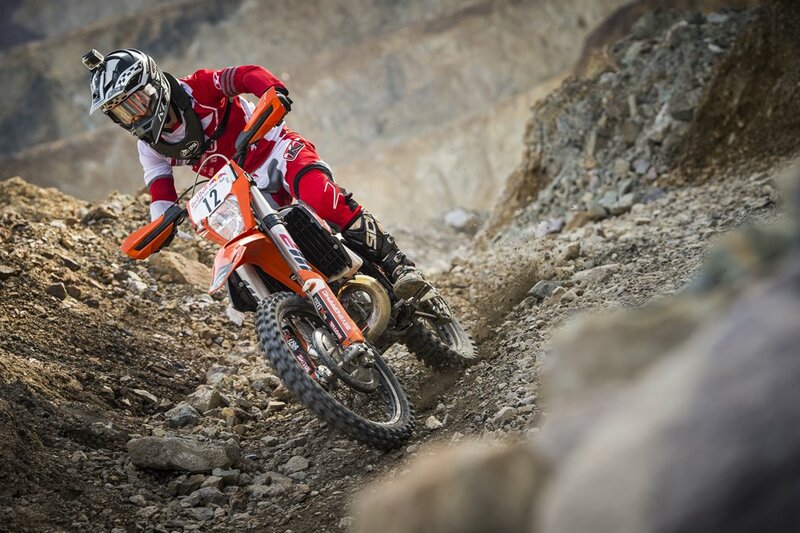 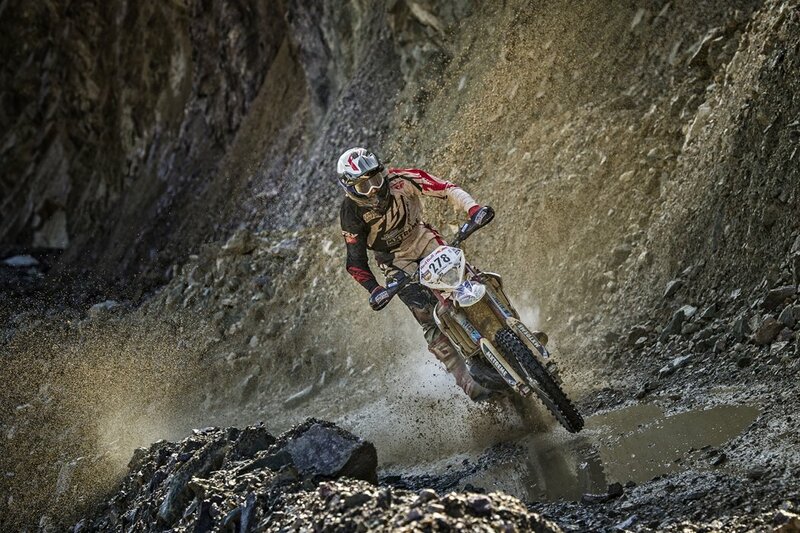 This weekend, there is another hard enduro race. 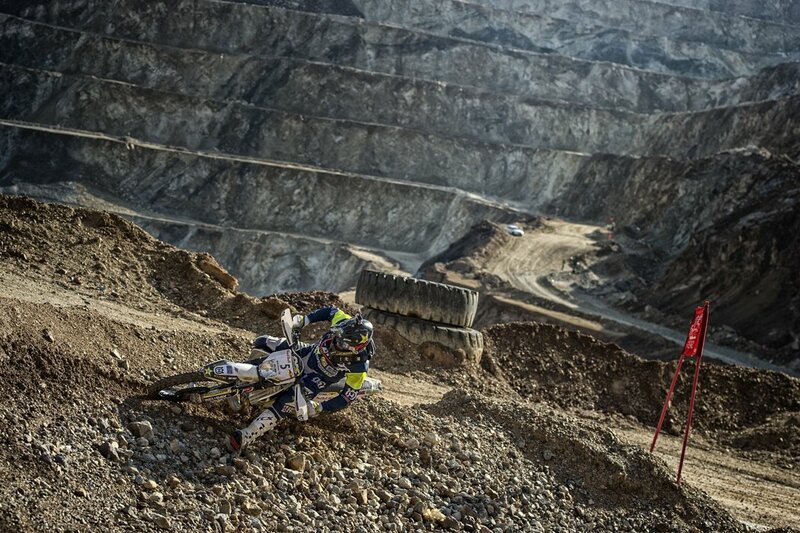 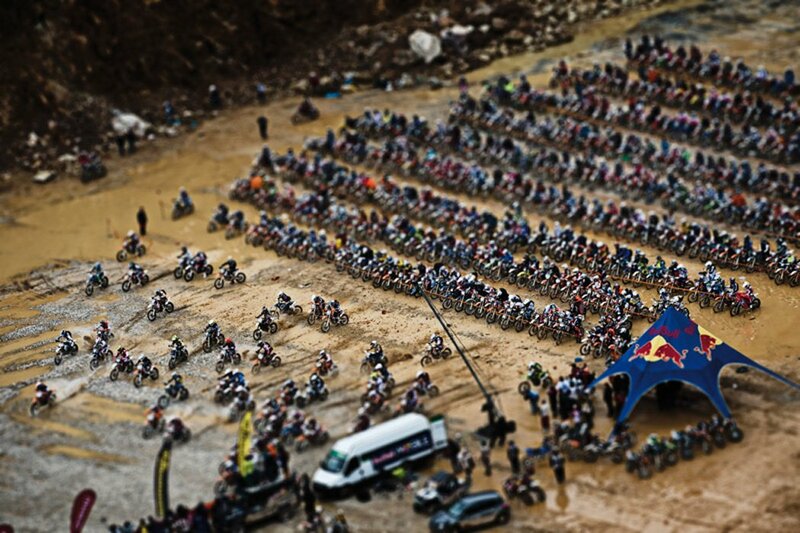 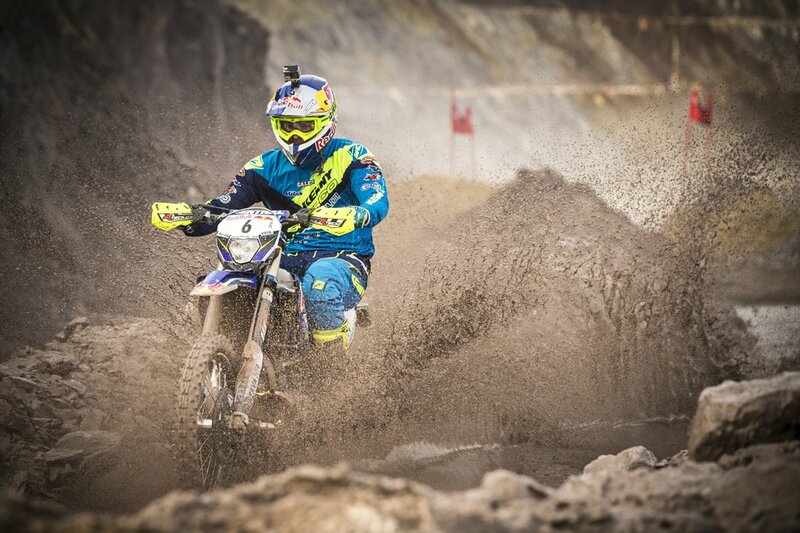 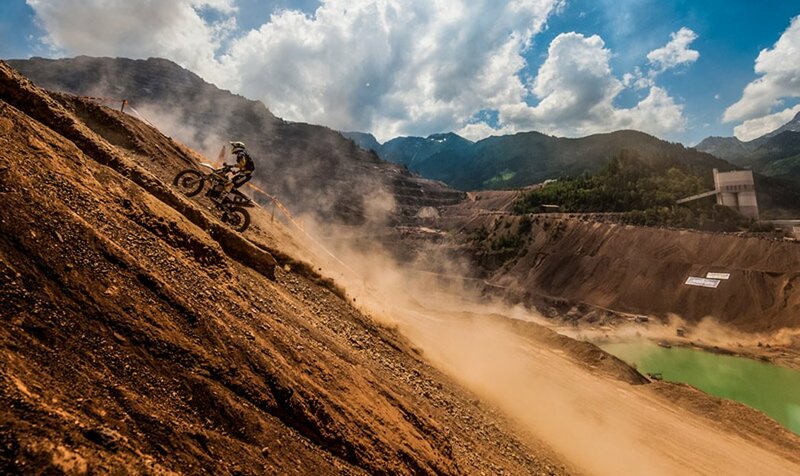 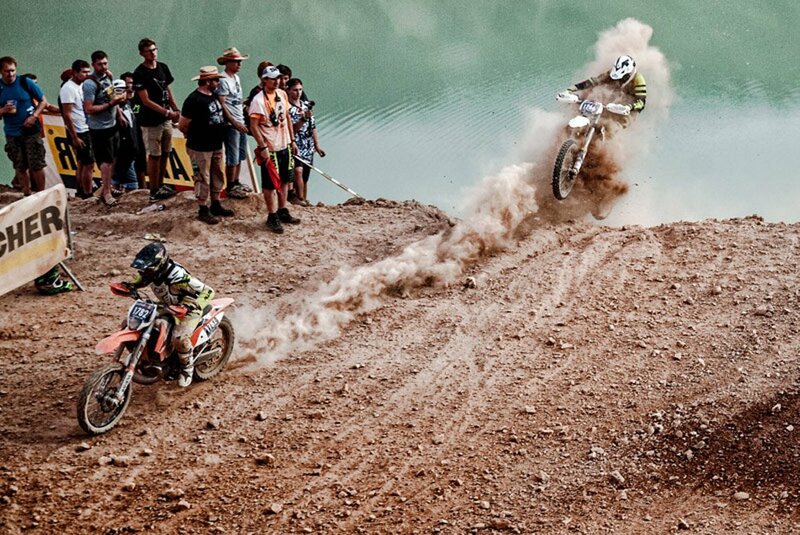 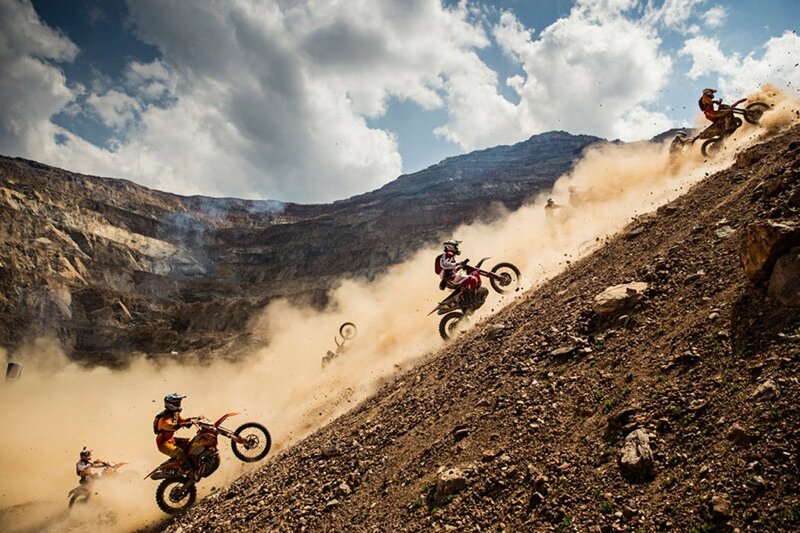 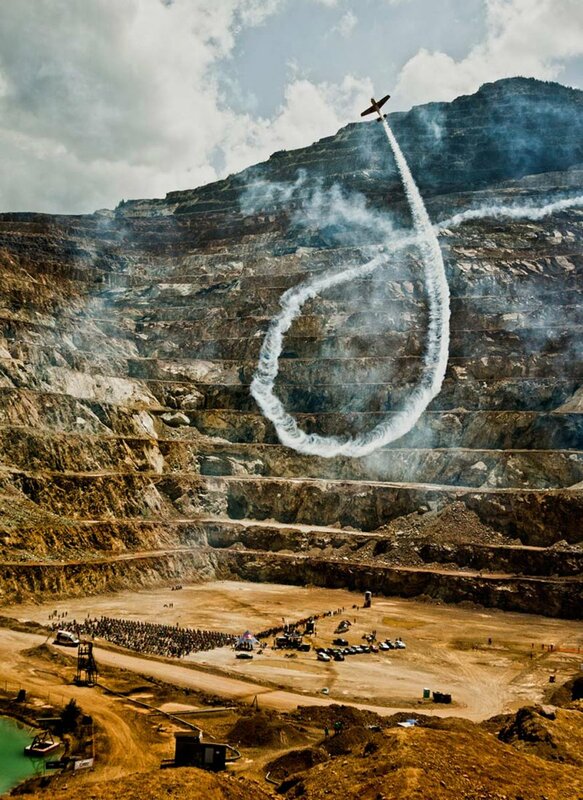 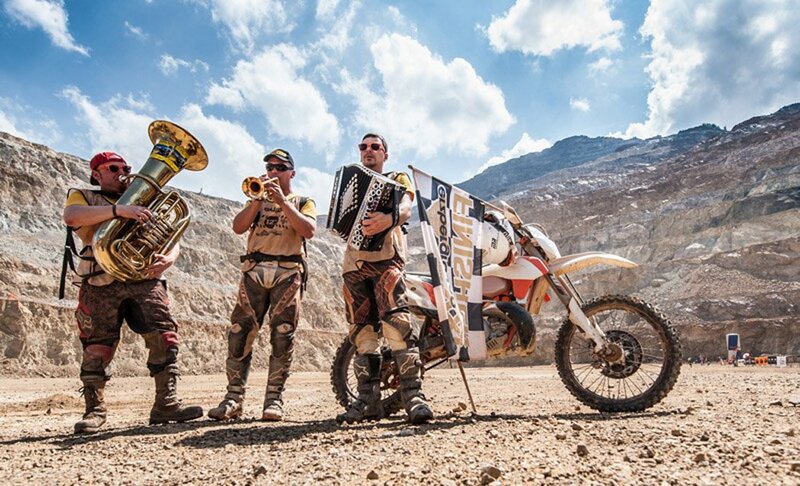 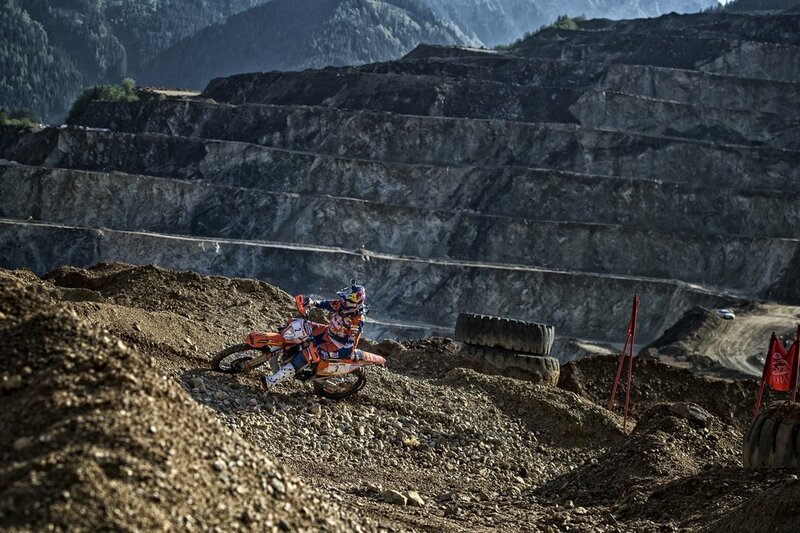 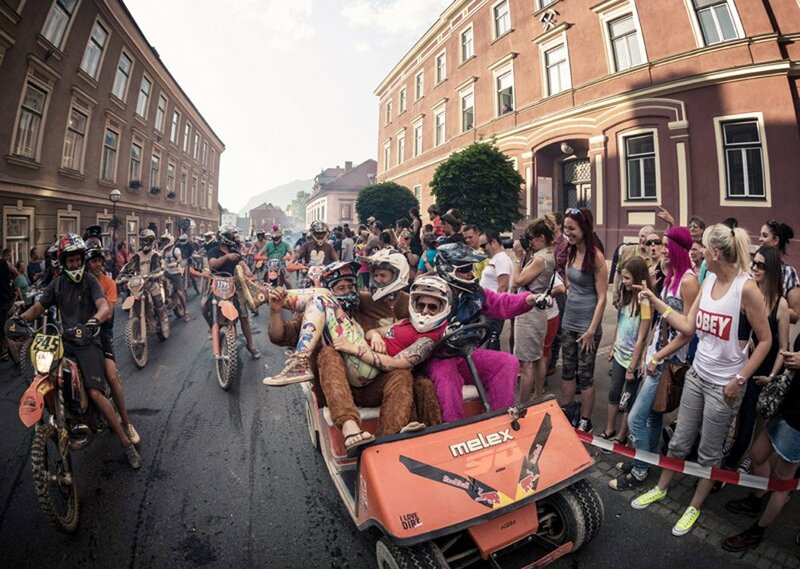 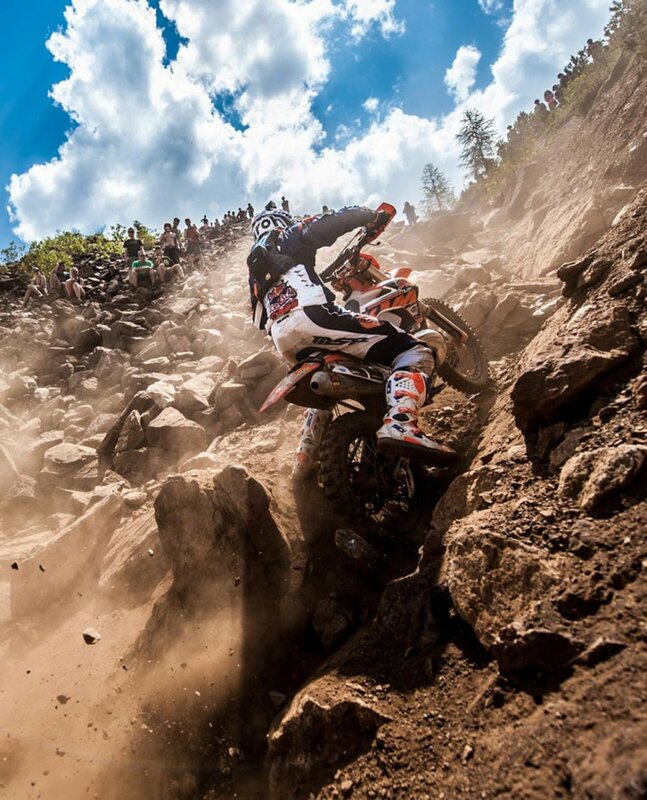 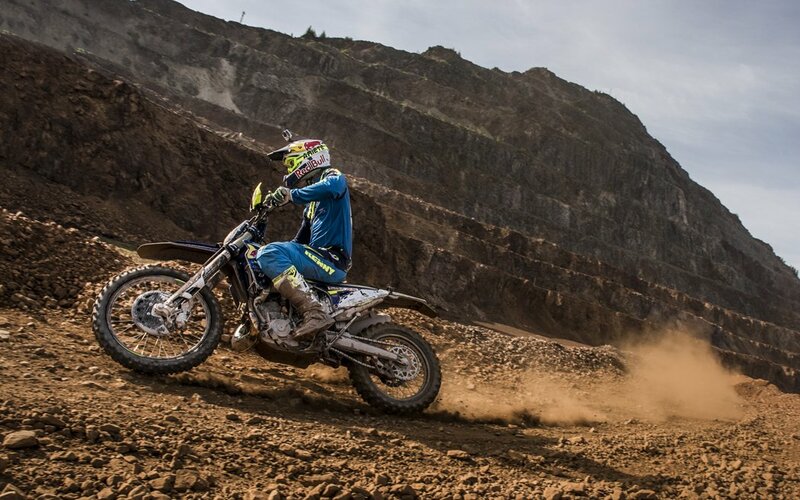 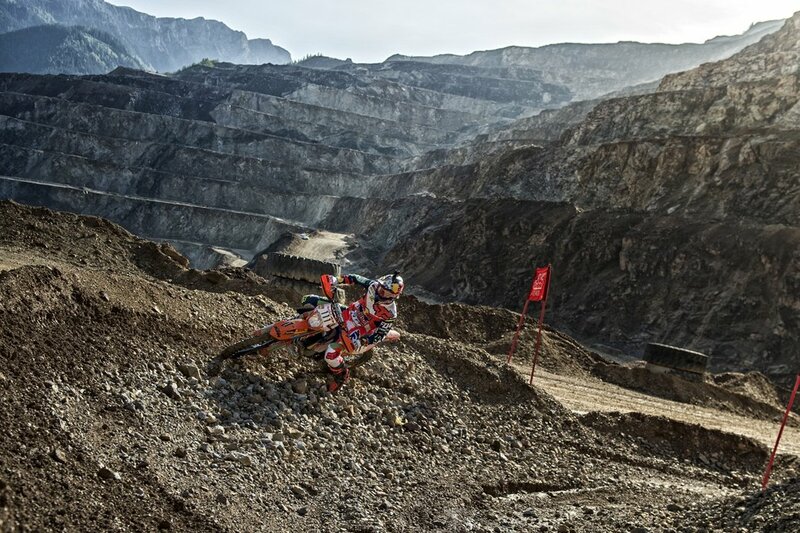 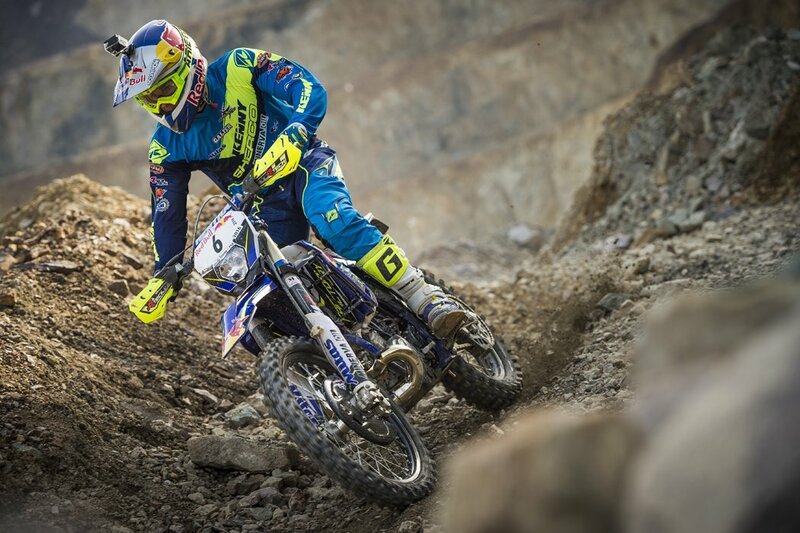 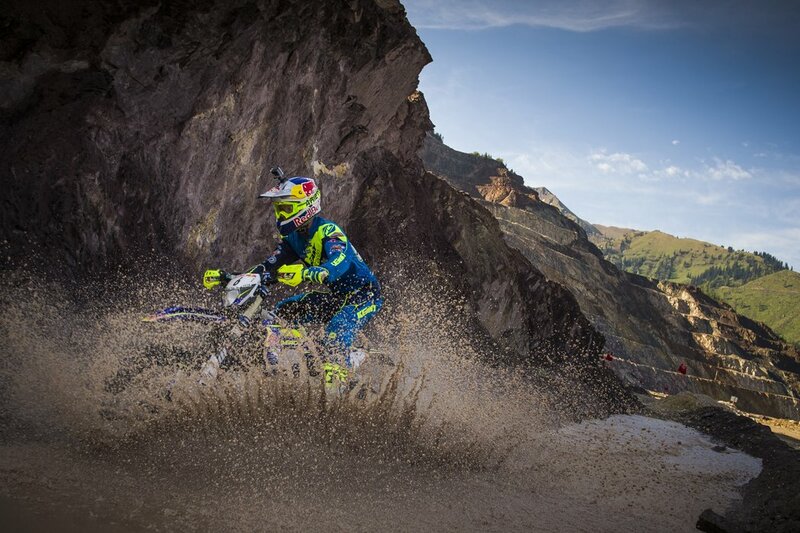 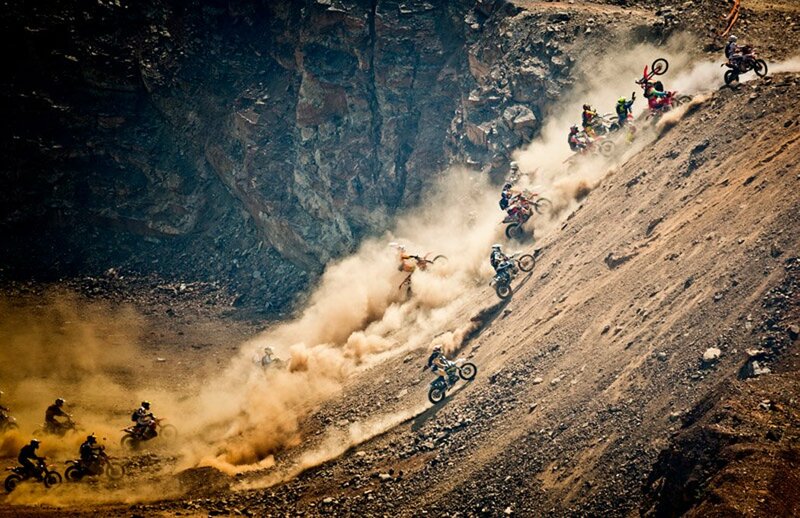 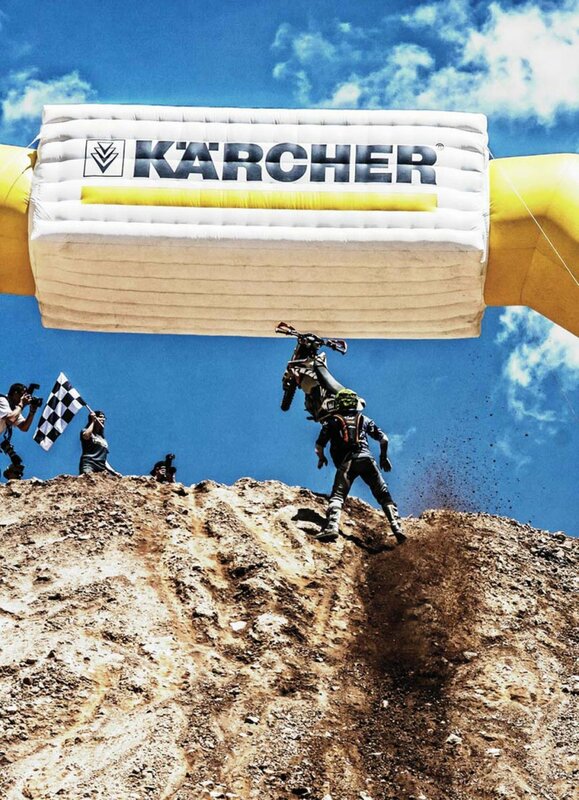 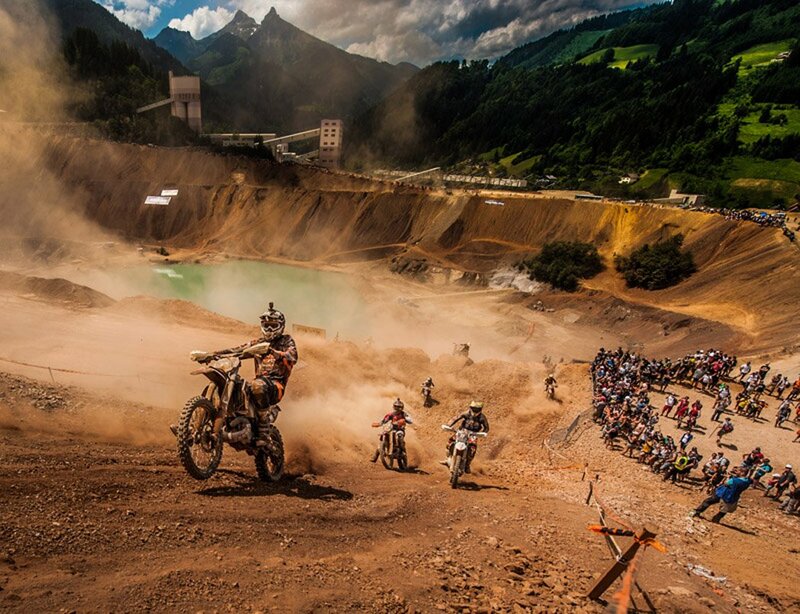 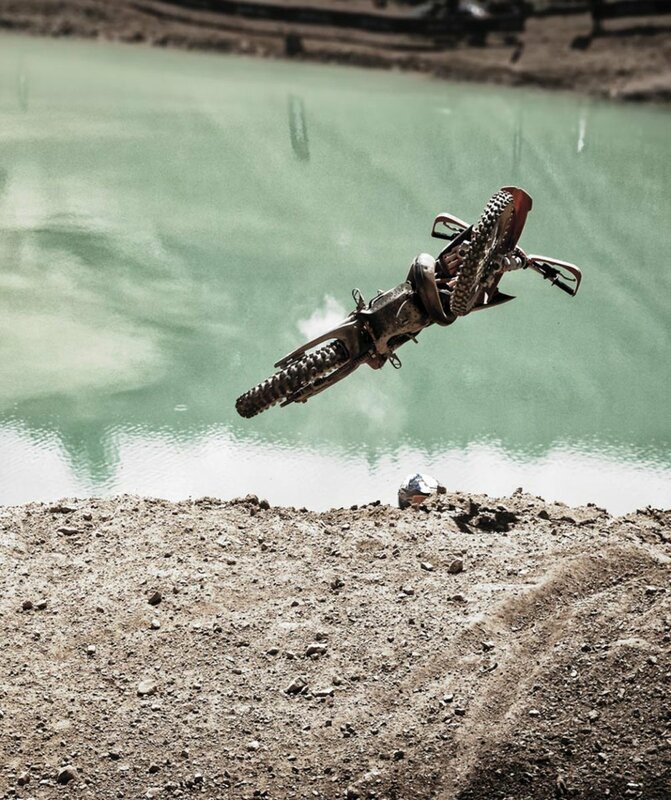 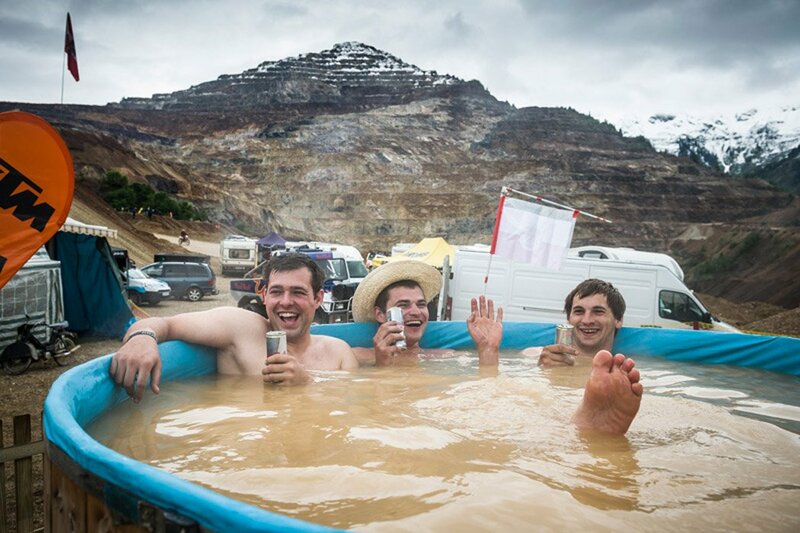 The famous Erzbergrodeo takes place in Austria. 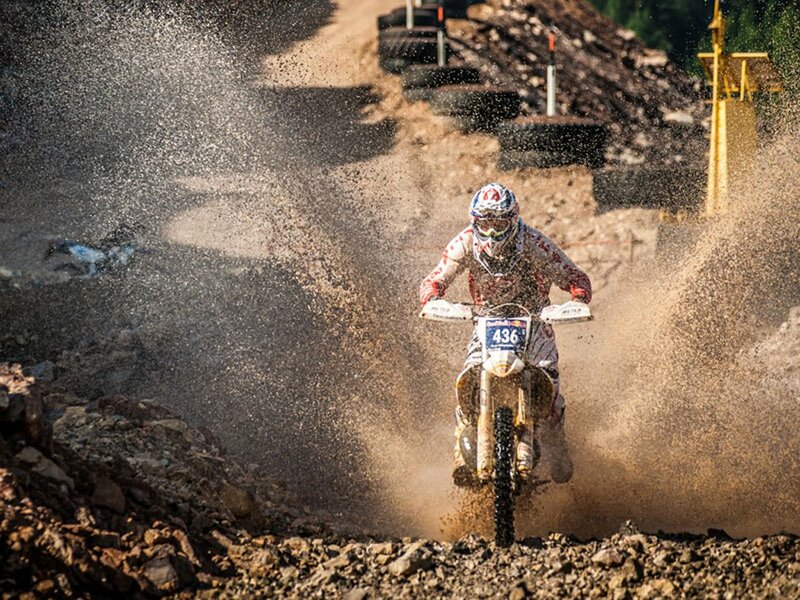 Drivers from all over the world and all age classes compete in this extremely hard race, with only a handful of riders coming to the finish. 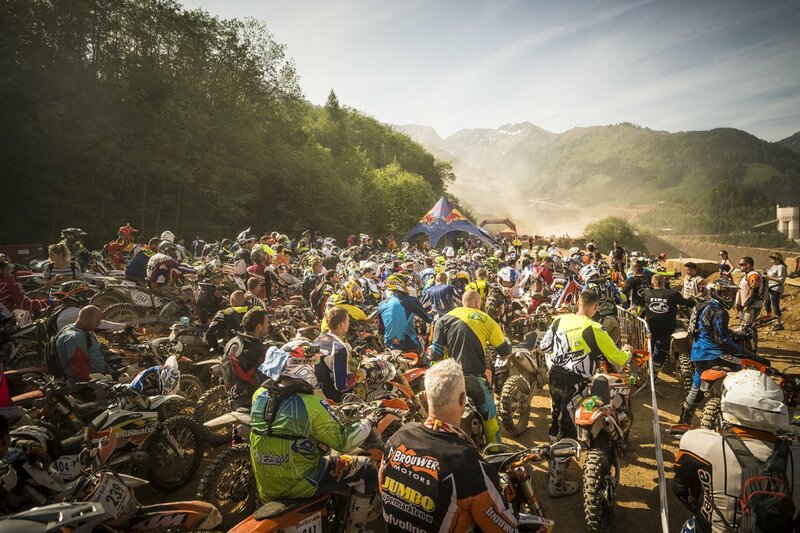 1500 drivers go into the Prolog. 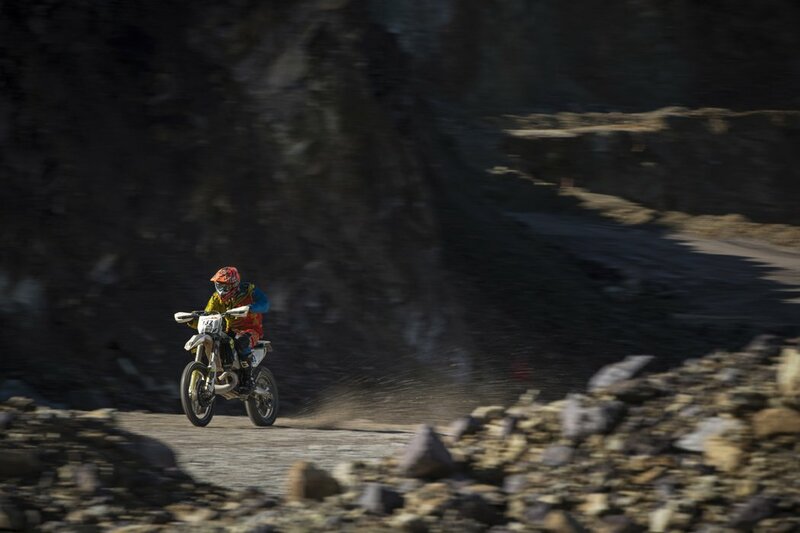 Full throttle against the mountain, on selective gravel roads to the summit. 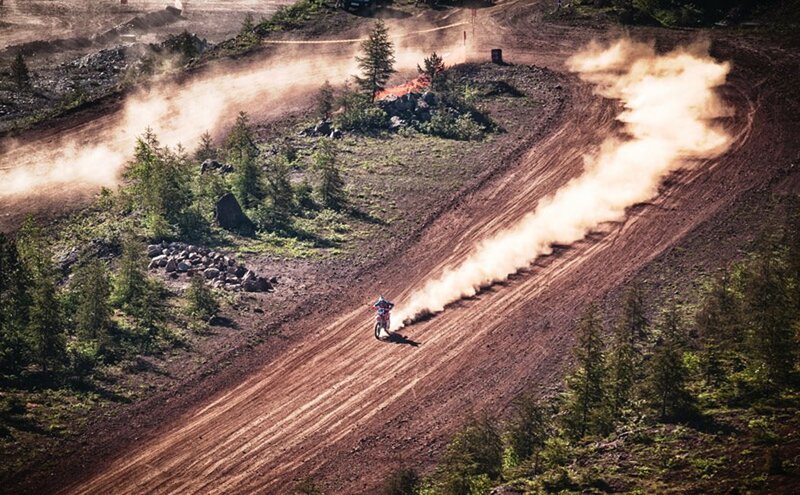 Here is actually everything drive which is in technically perfect condition. 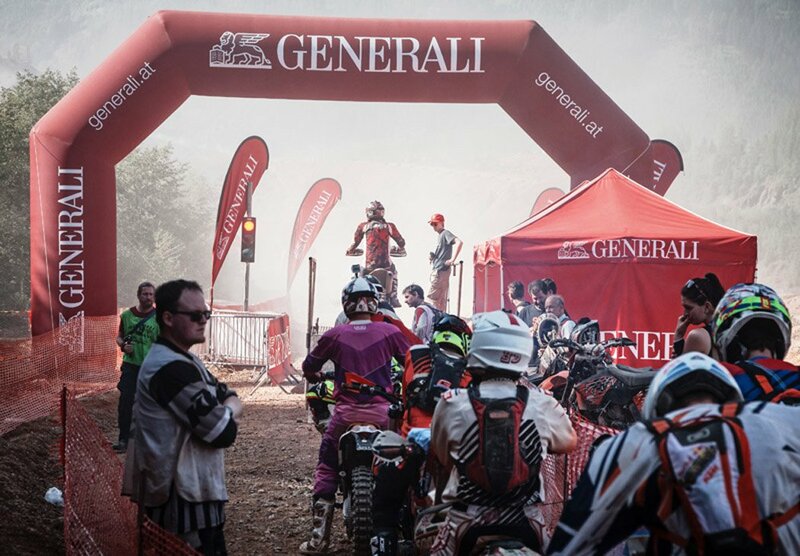 On the up to 30 m wide and 13.5 km long track looks beside Enduros also Quads, scooters, sidecars and even road motorbikes. 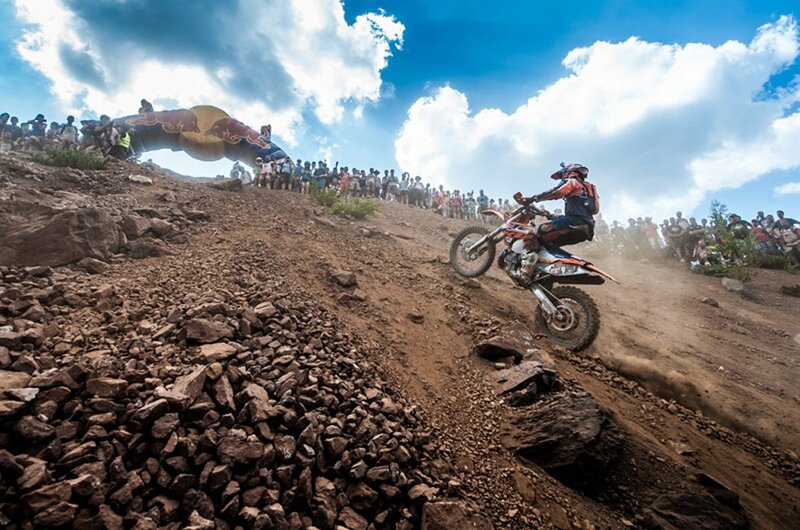 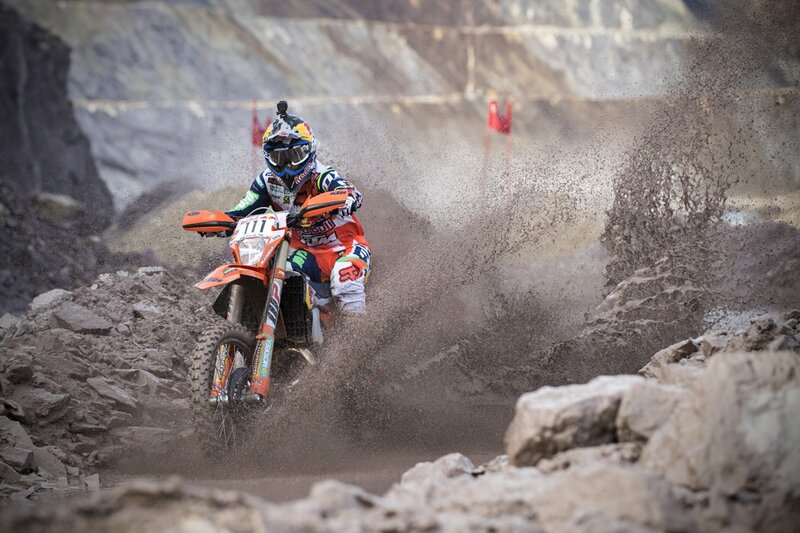 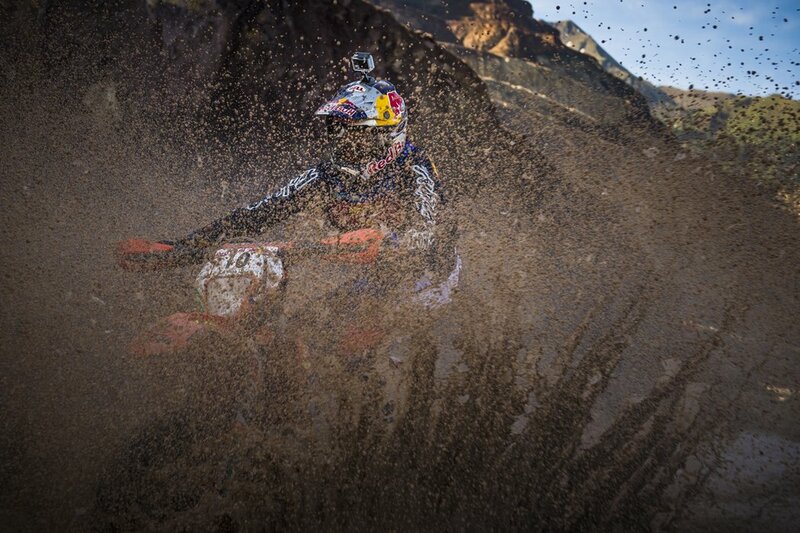 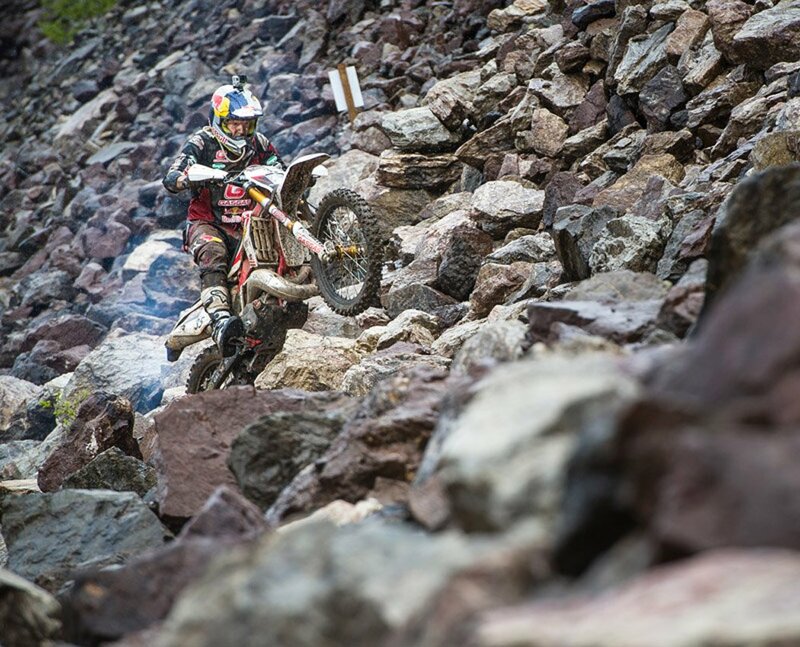 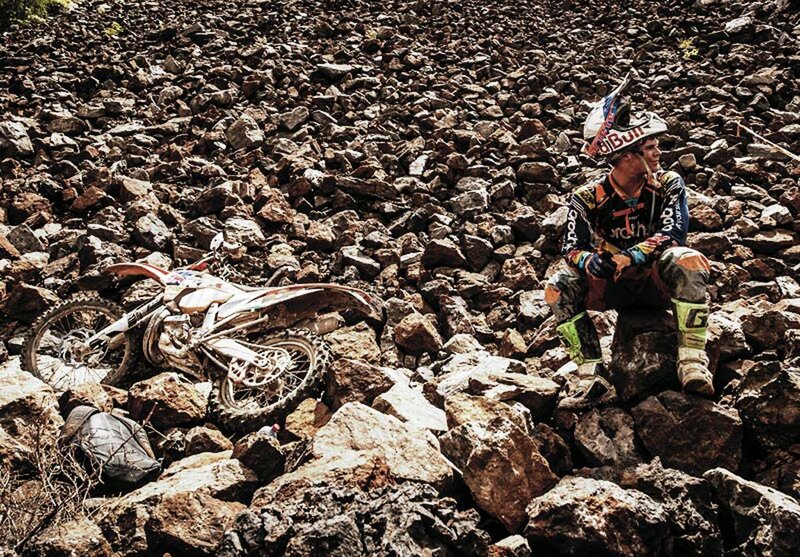 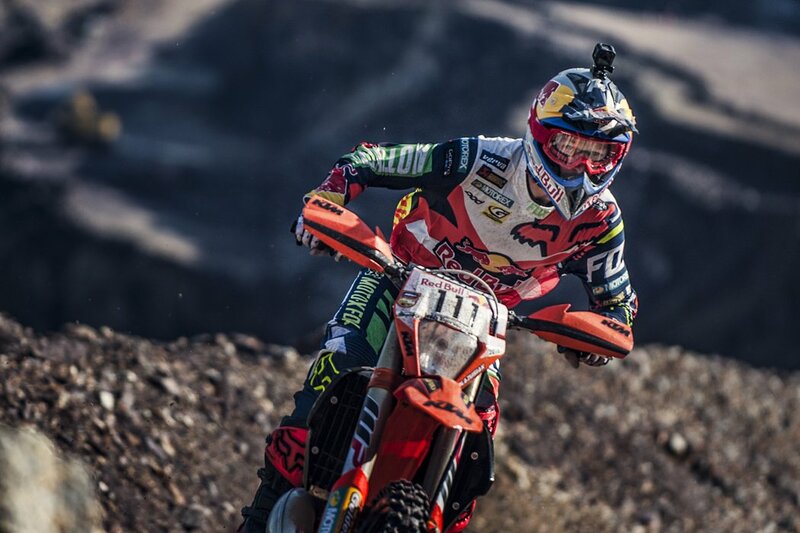 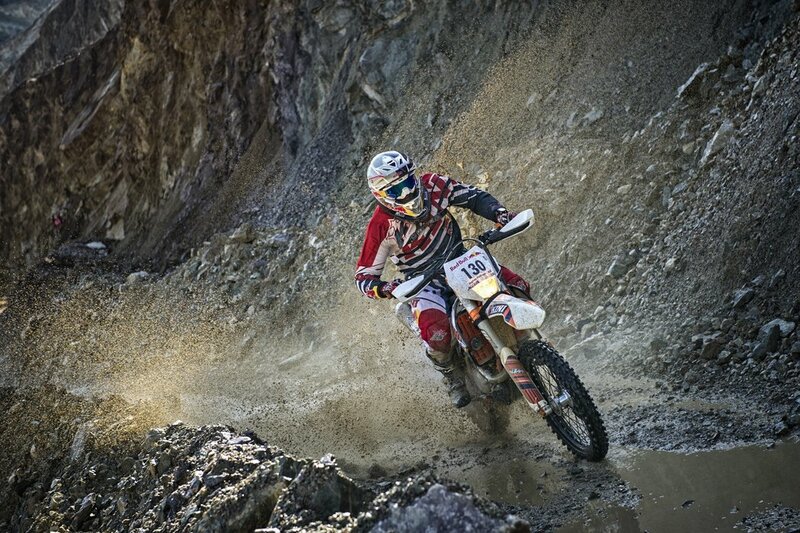 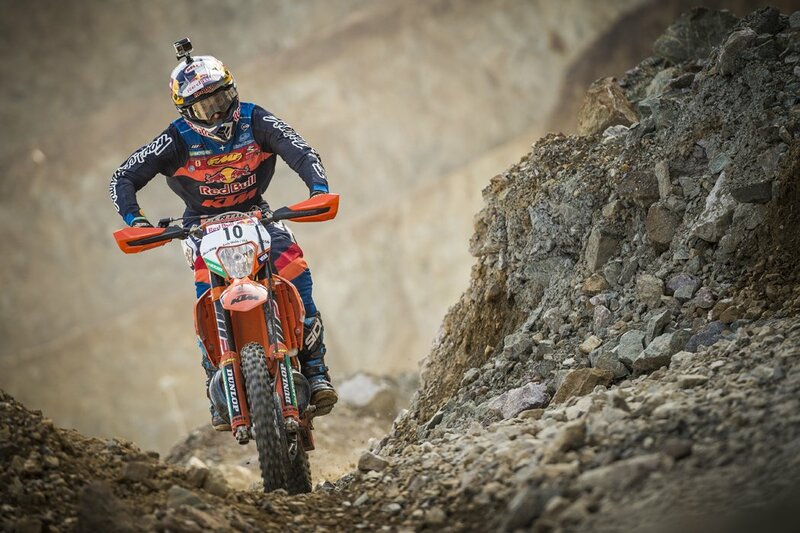 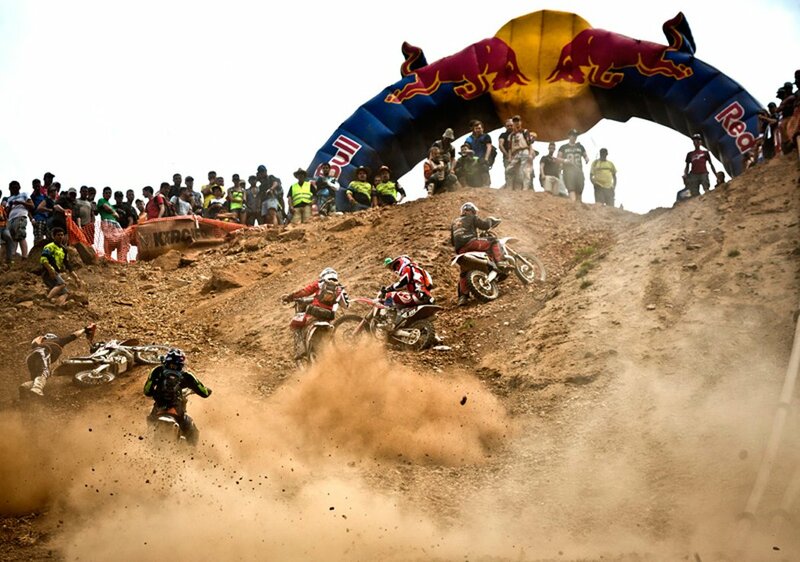 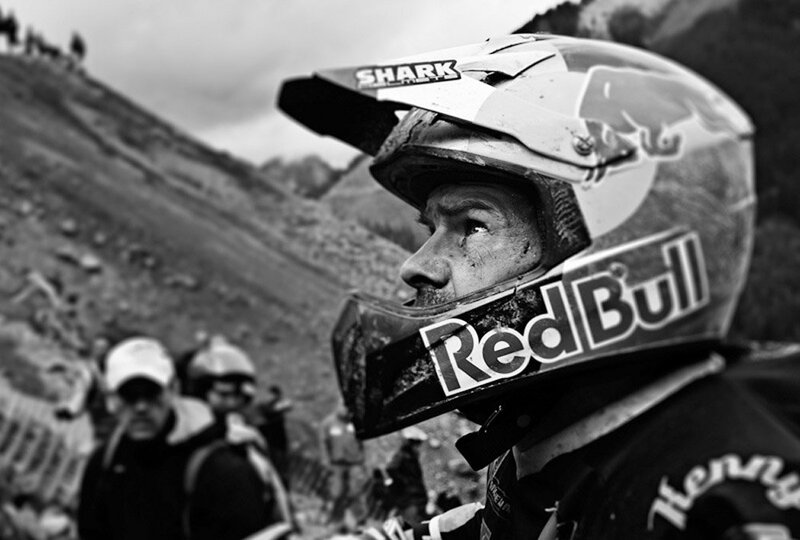 Only the 500 best can start on Sunday at the Red Bull Hare Scramble. 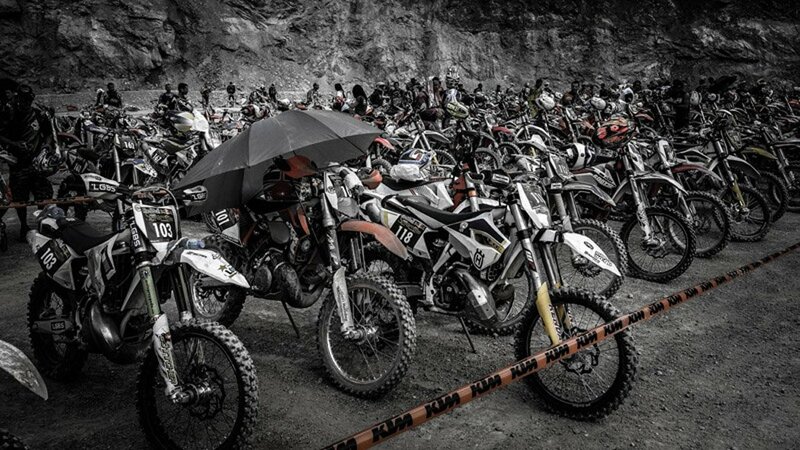 Everything is required here. 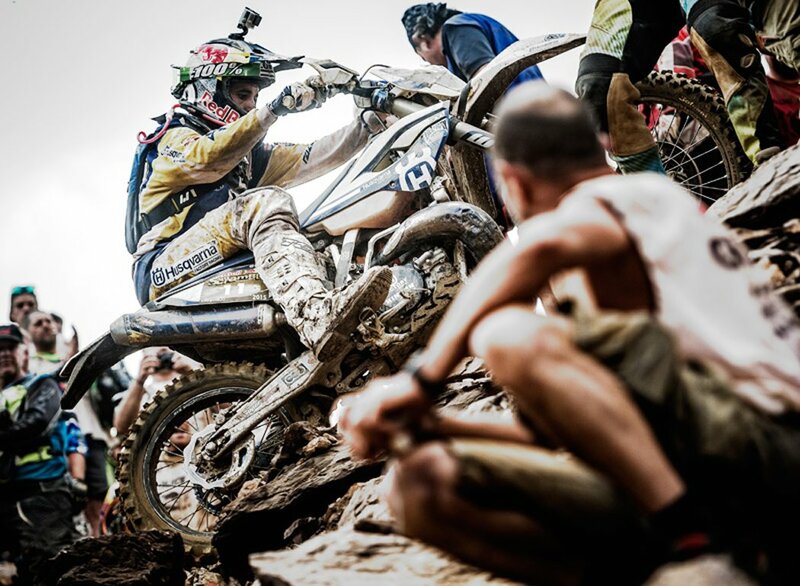 Courage, fitness and a lot of driving. 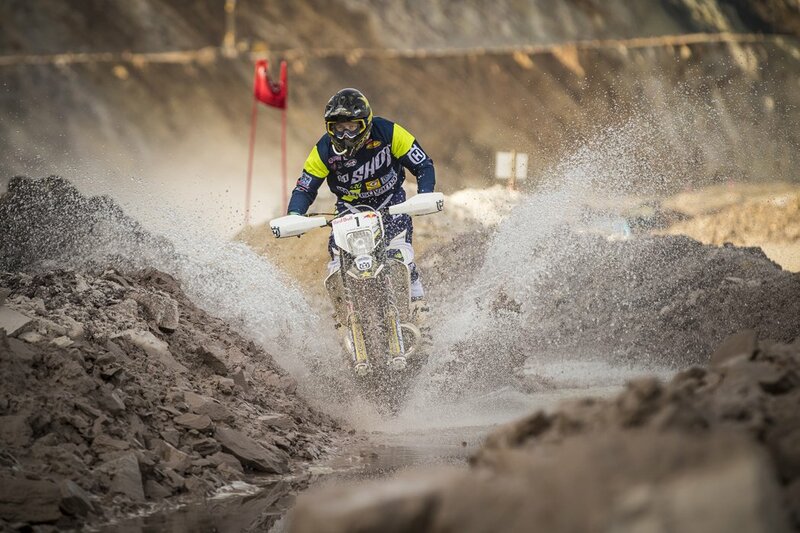 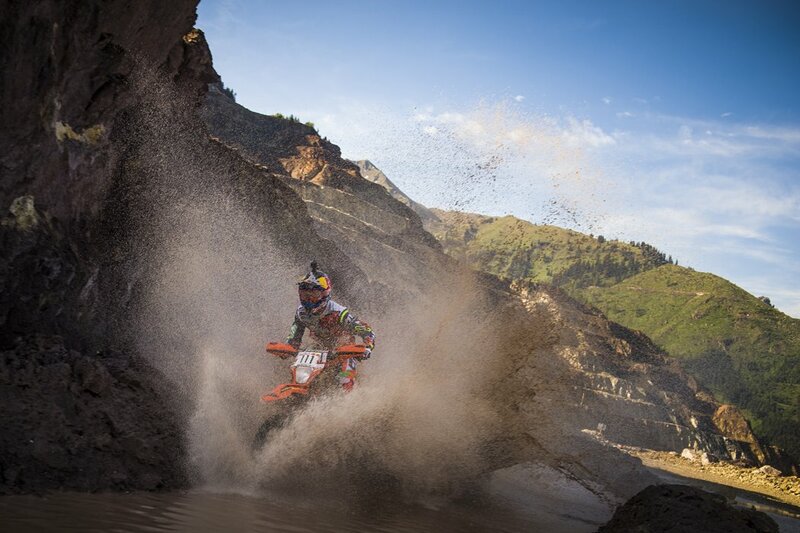 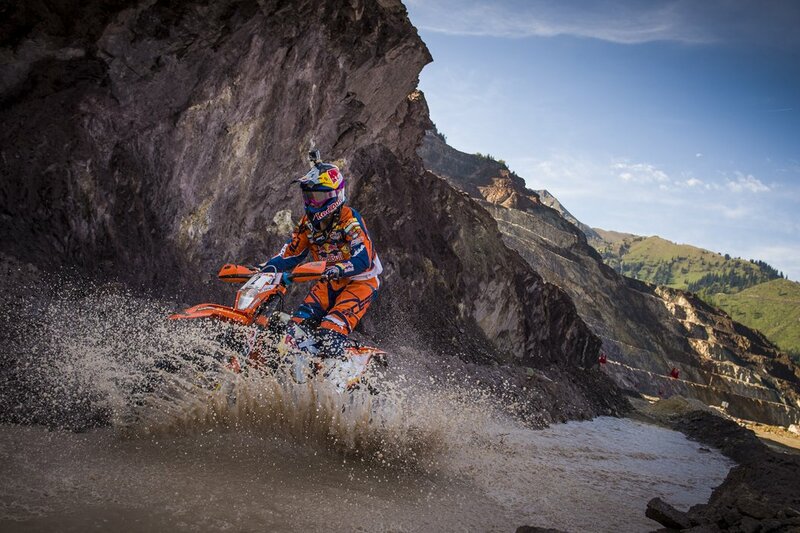 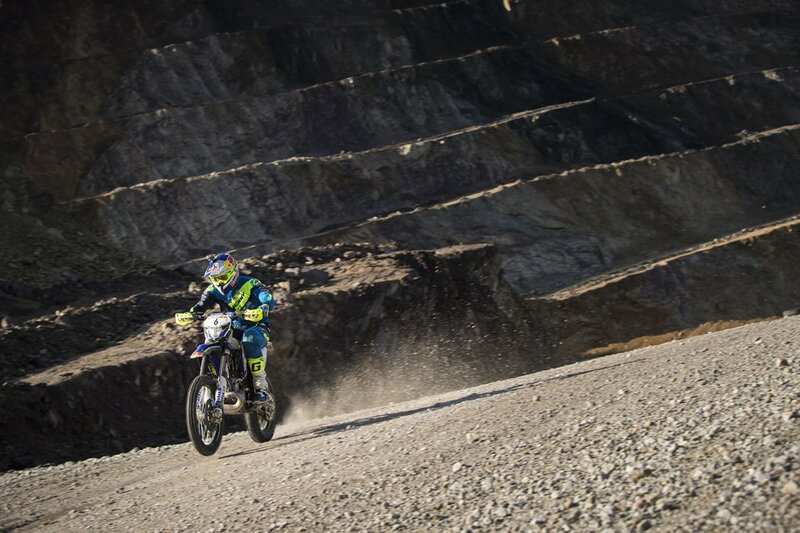 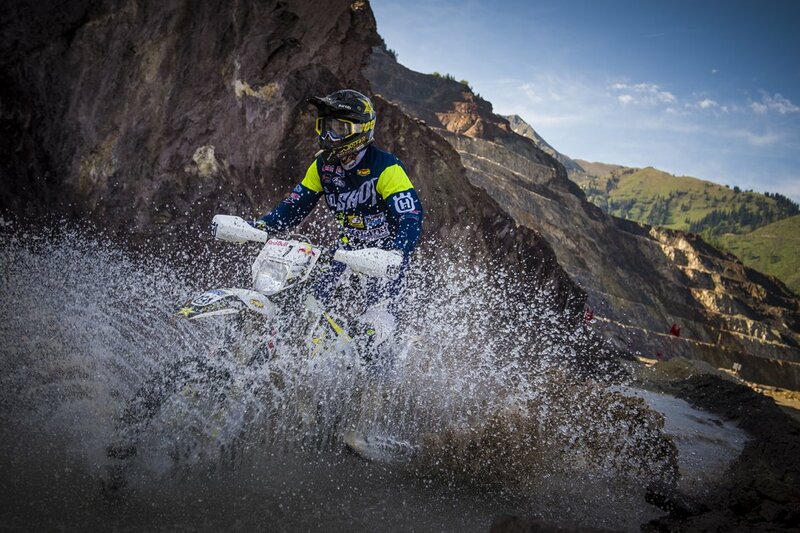 But the most important thing is the head, which has no chance at the hardest off-road day race in the world. 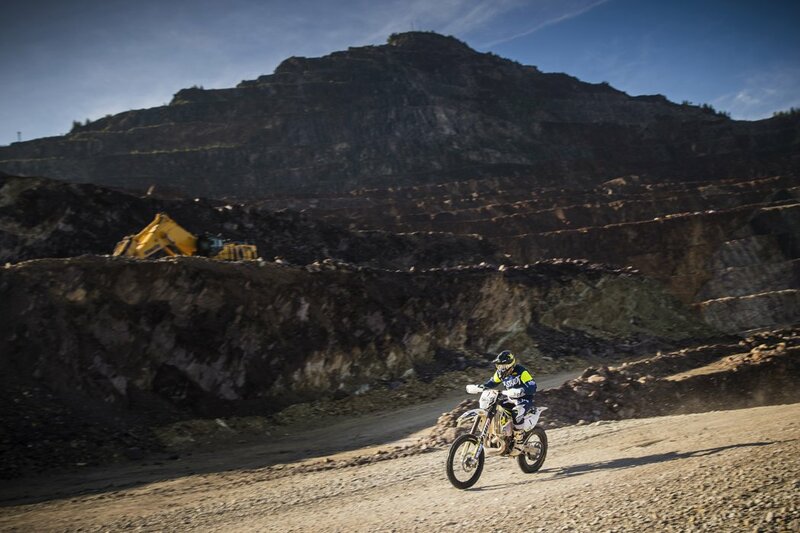 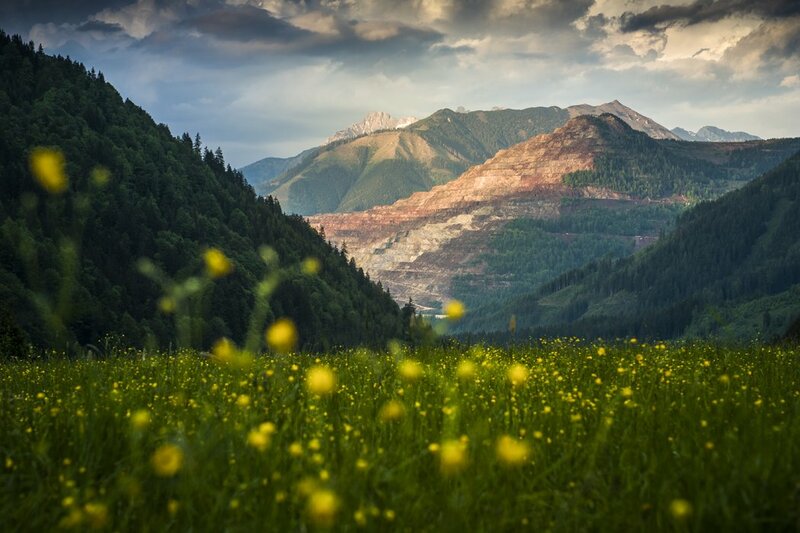 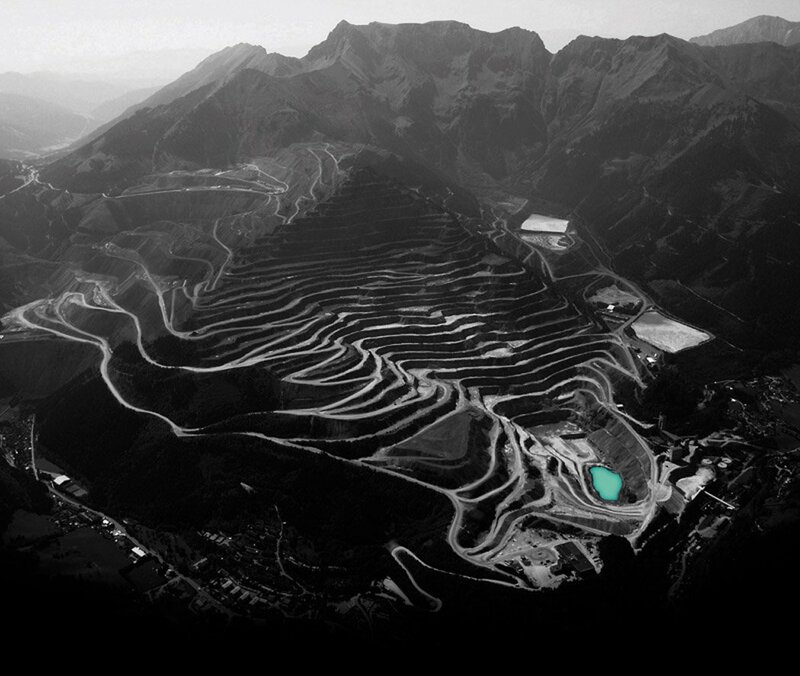 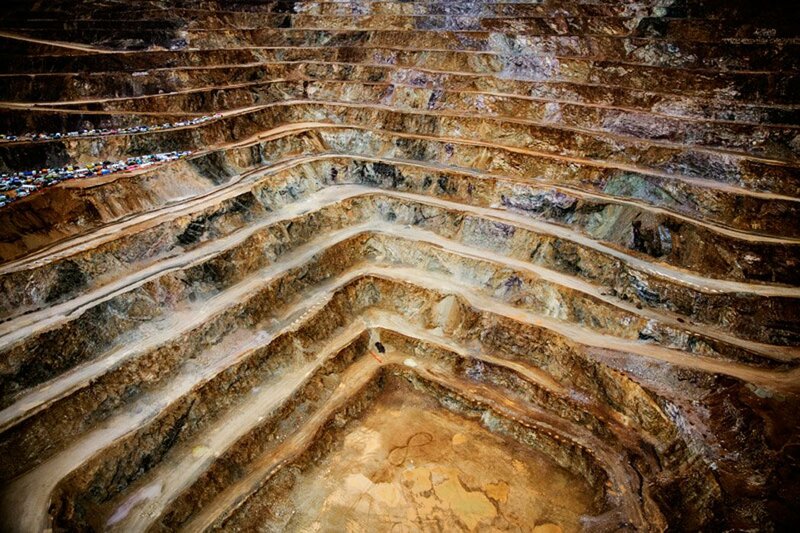 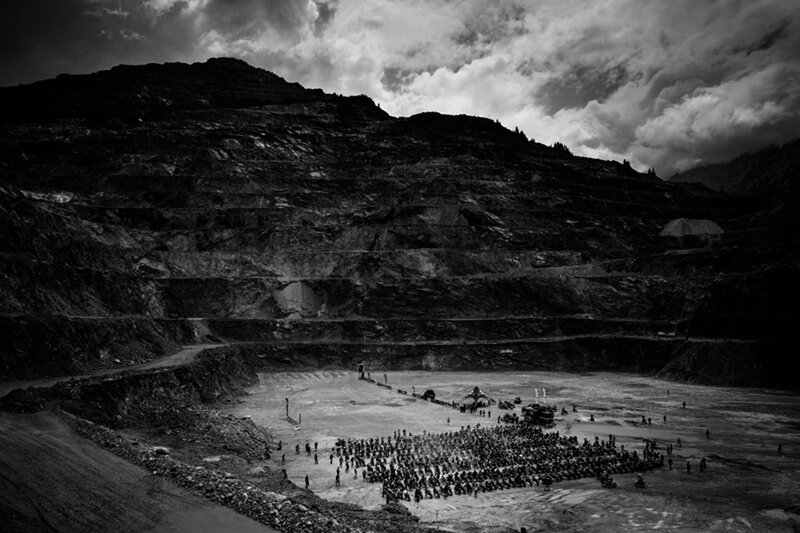 The route on the mountain changes every year, just like the mountain itself, because mining is still going on there. 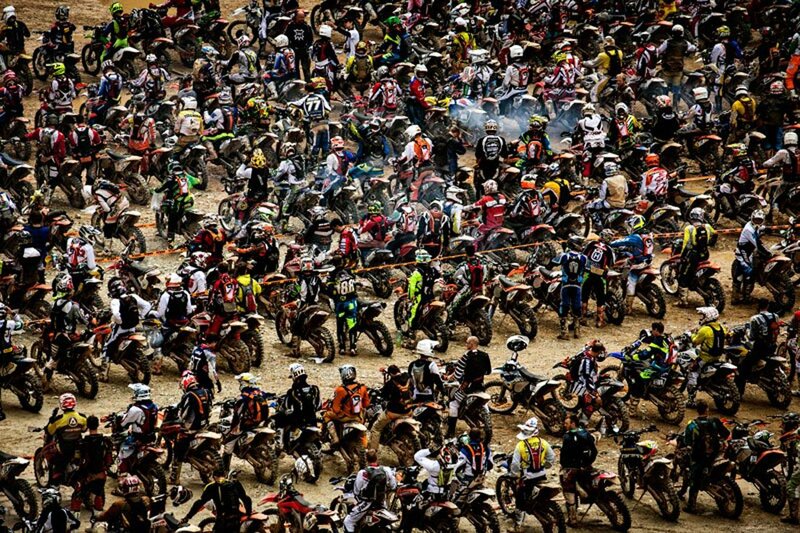 23 Checkpoints must be run. 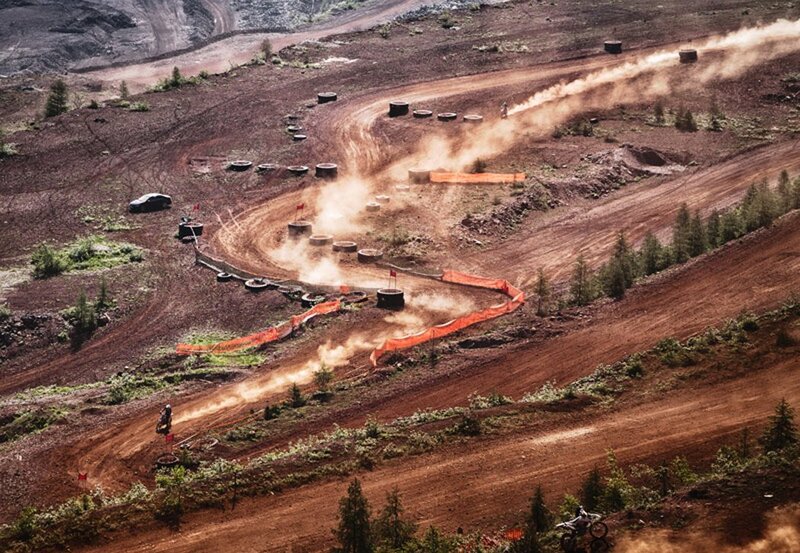 4 hours have time for this. 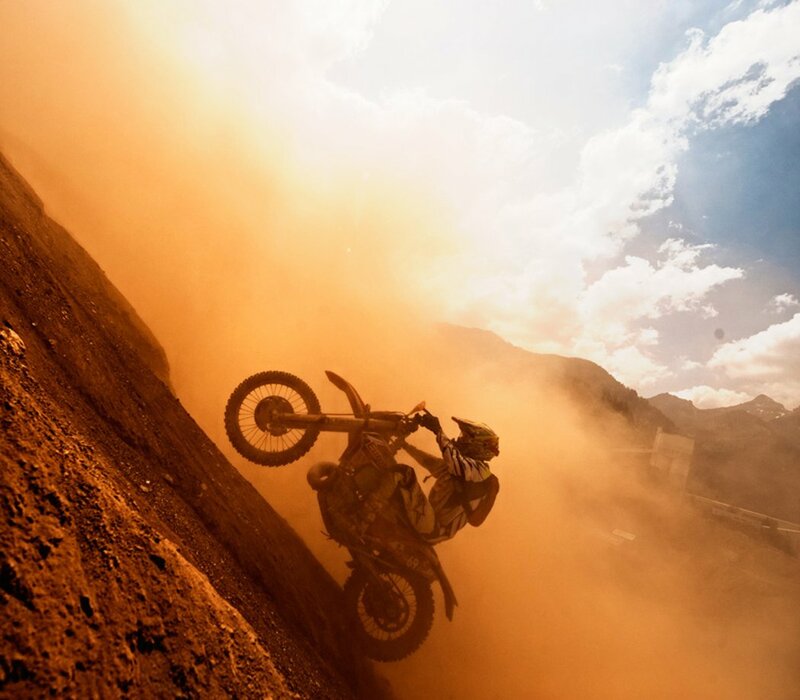 – And most will not see the goal. 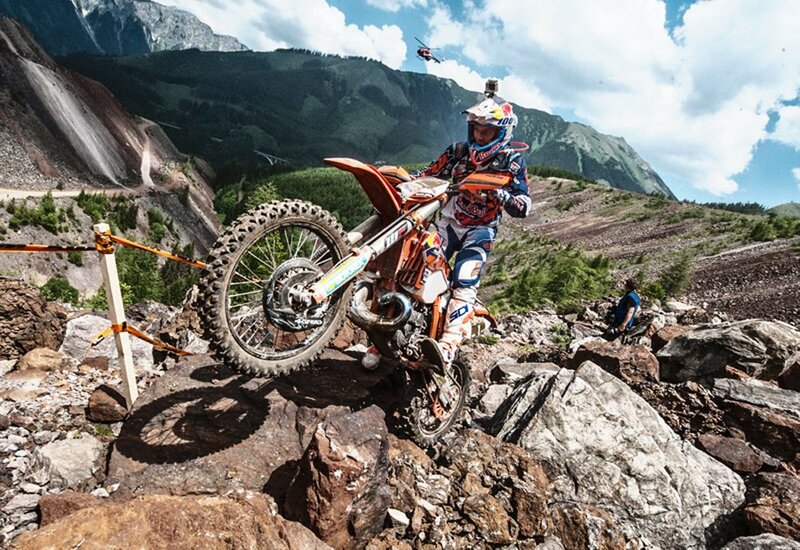 Jonny Walker performs at the Red Bull Hare Scramble 2015 in Eisenerz, Austria on June 7th, 2015. 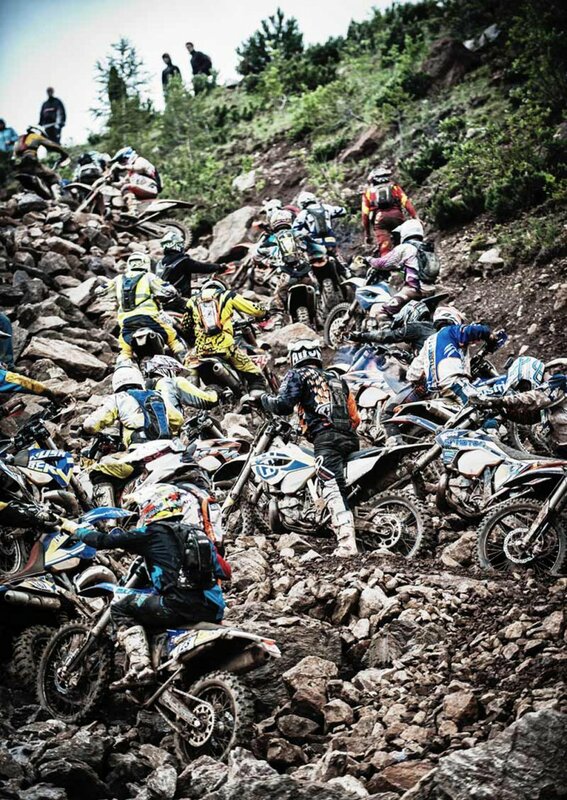 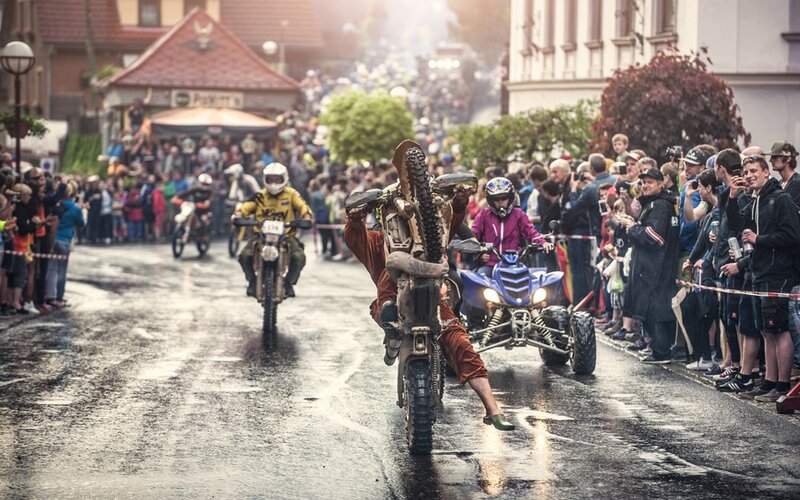 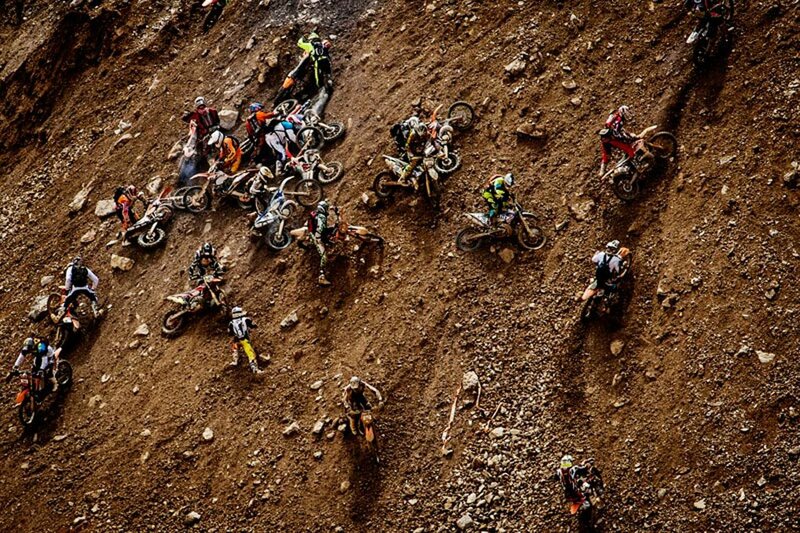 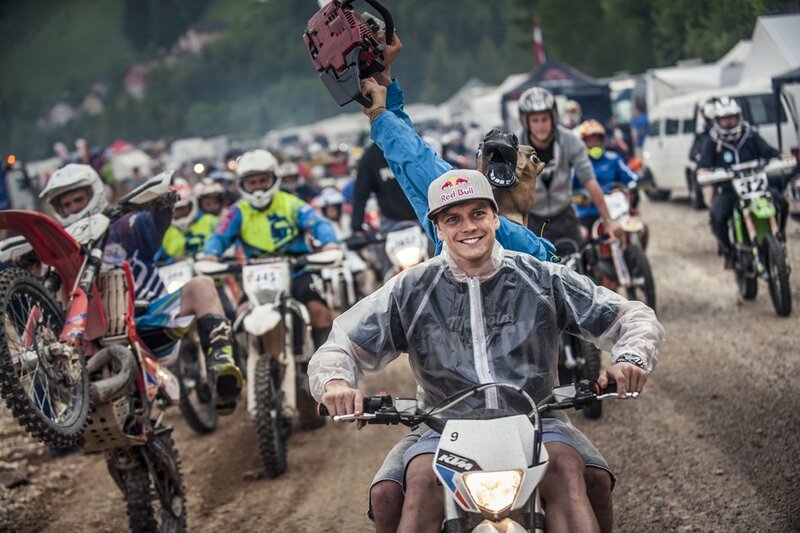 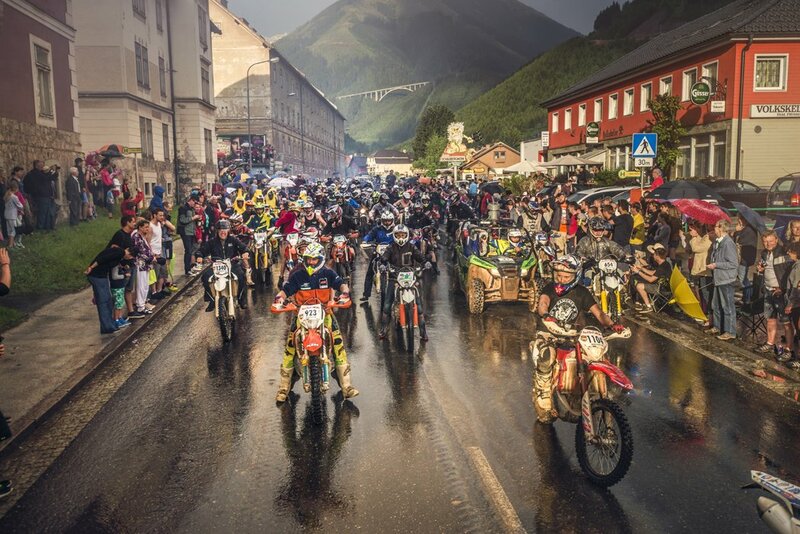 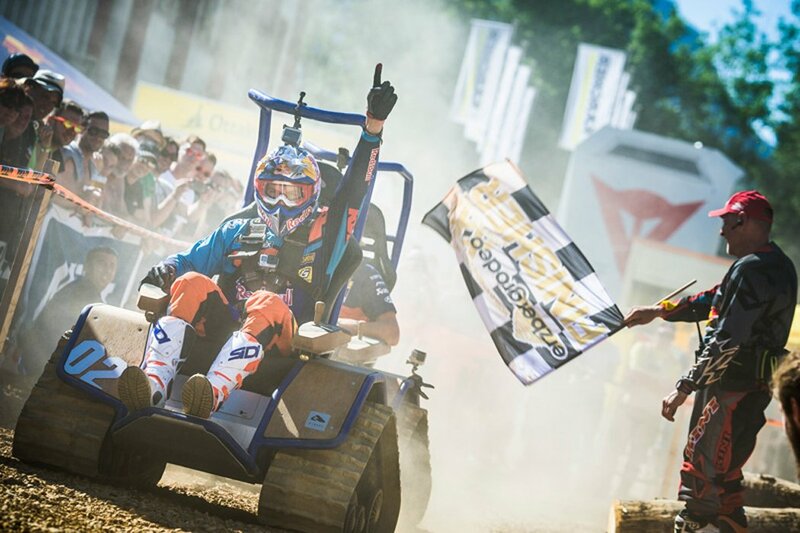 Competitors at the Red Bull Hare Scramble 2015 in Eisenerz, Austria on June 7th, 2015. 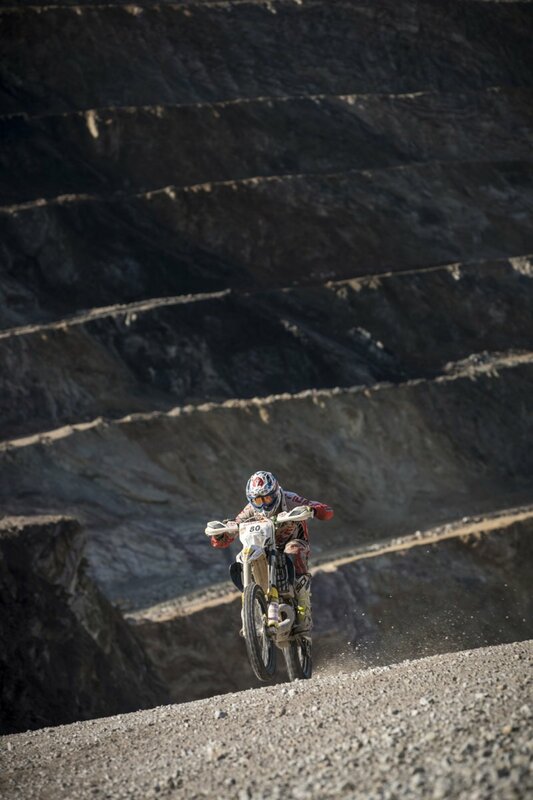 Graham Jarvis performs during the prolog of the Red Bull Hare Scramble 2016 in Eisenerz, Austria on May 27, 2015. 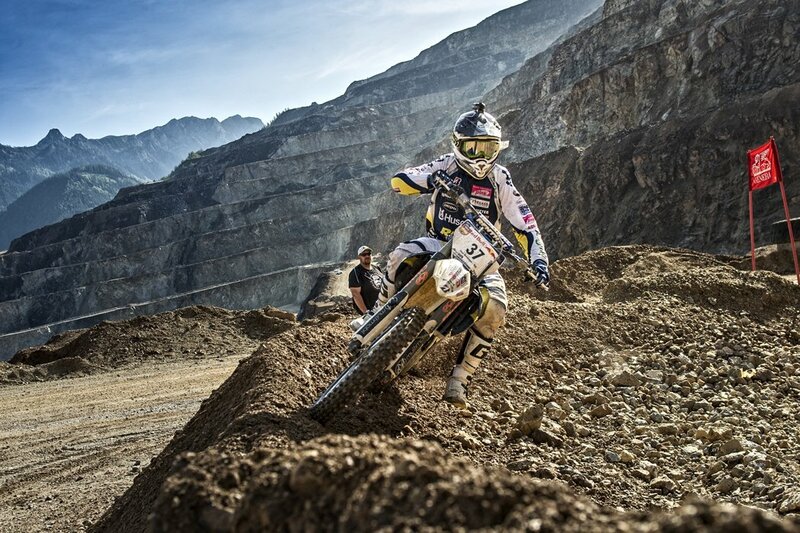 Alfredo Gomez performs during the prolog of the Red Bull Hare Scramble 2016 in Eisenerz, Austria on May 27, 2015. 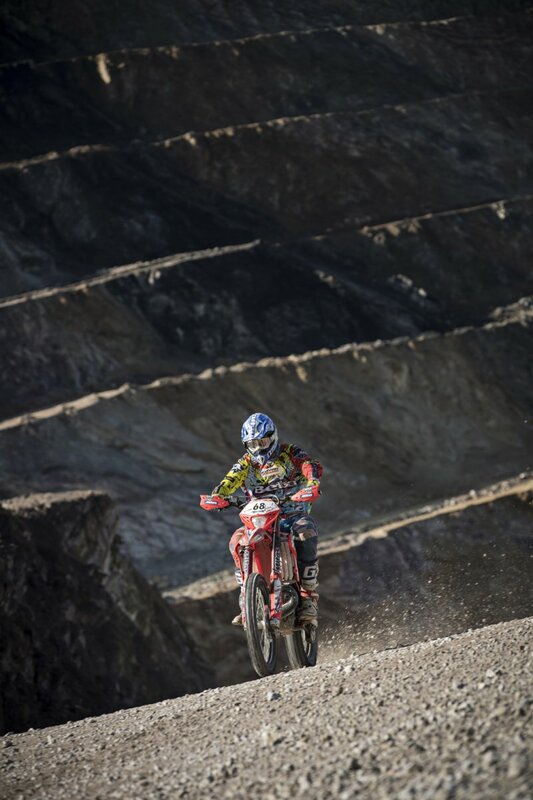 Mario Roman performs during the prolog of the Red Bull Hare Scramble 2016 in Eisenerz, Austria on May 27, 2015. 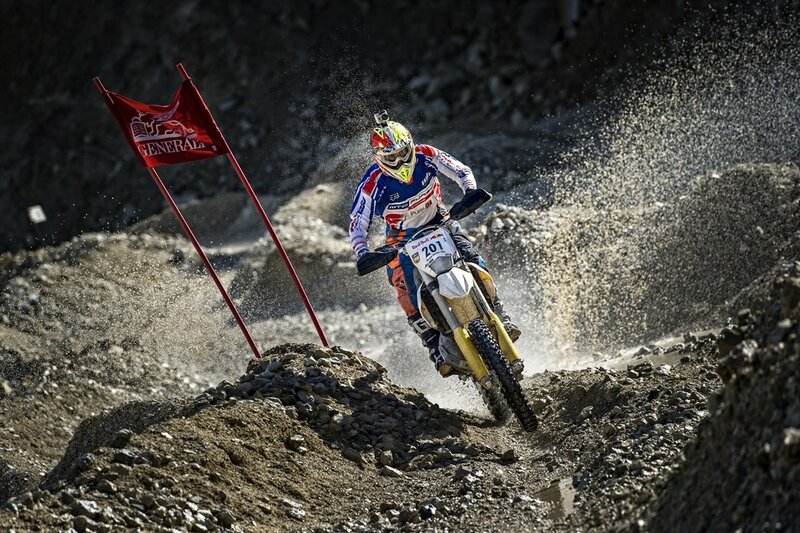 Taddy Blazusiak performs during the prolog of the Red Bull Hare Scramble 2016 in Eisenerz, Austria on May 27, 2015. 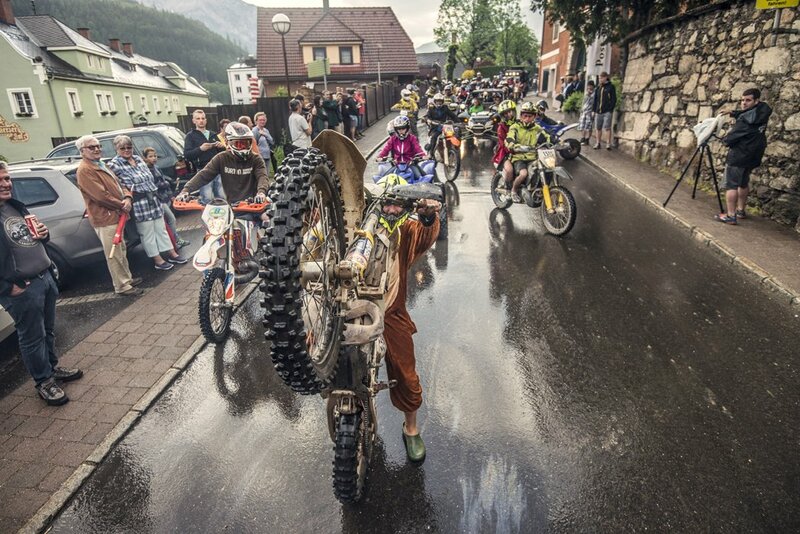 Andreas Lettenbichler performs during the prolog of the Red Bull Hare Scramble 2016 in Eisenerz, Austria on May 27, 2015. 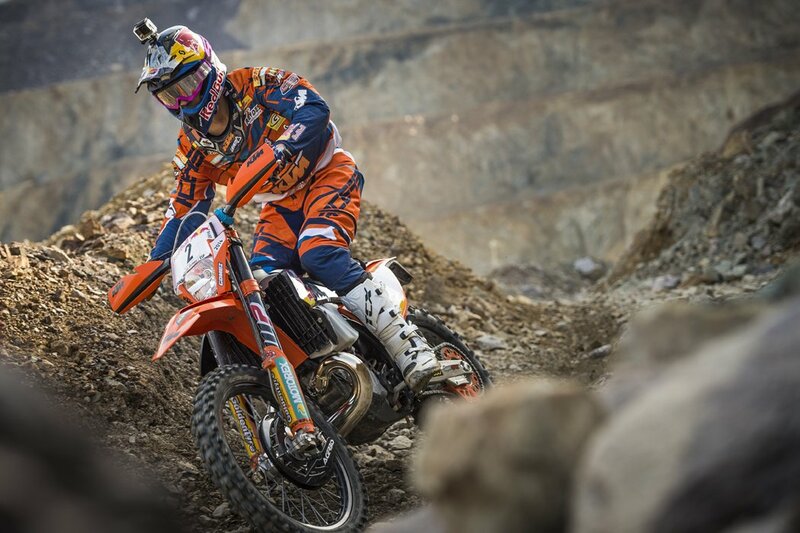 Cody Webb performs during the prolog of the Red Bull Hare Scramble 2016 in Eisenerz, Austria on May 27, 2015. 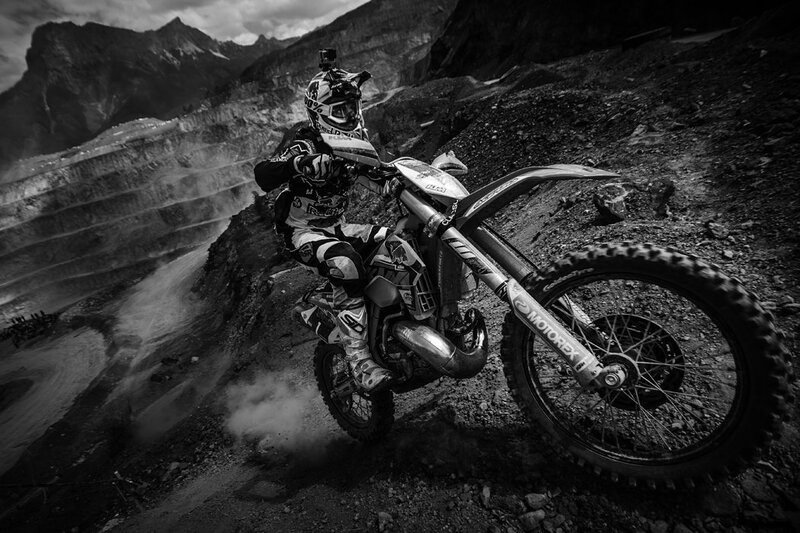 Wade Young performs during the prolog of the Red Bull Hare Scramble 2016 in Eisenerz, Austria on May 27, 2015. 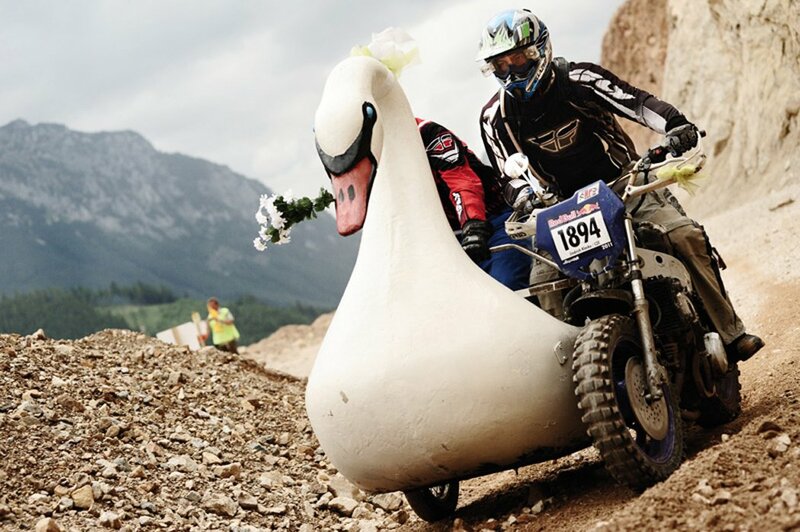 Lars Enoeckl performs during the prolog of the Red Bull Hare Scramble 2016 in Eisenerz, Austria on May 27, 2015. 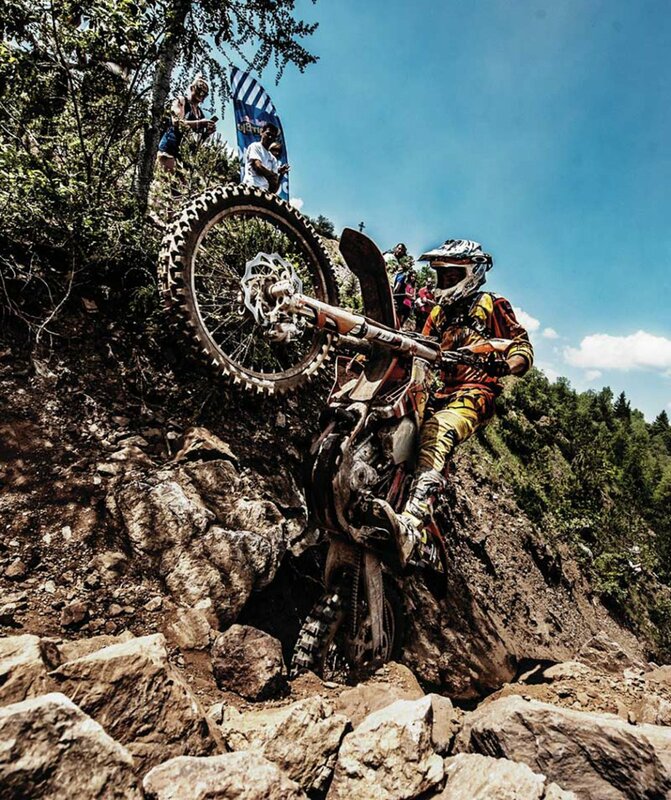 Competitor performs during the prolog of the Red Bull Hare Scramble 2016 in Eisenerz, Austria on May 27, 2015. 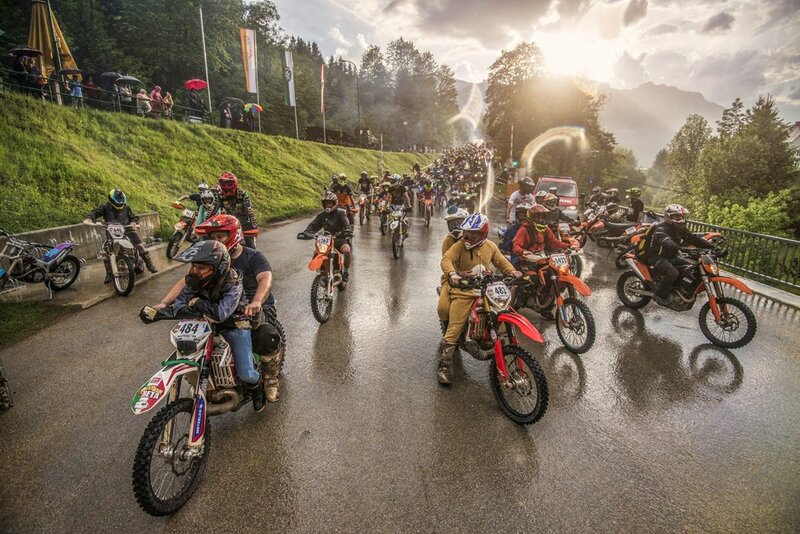 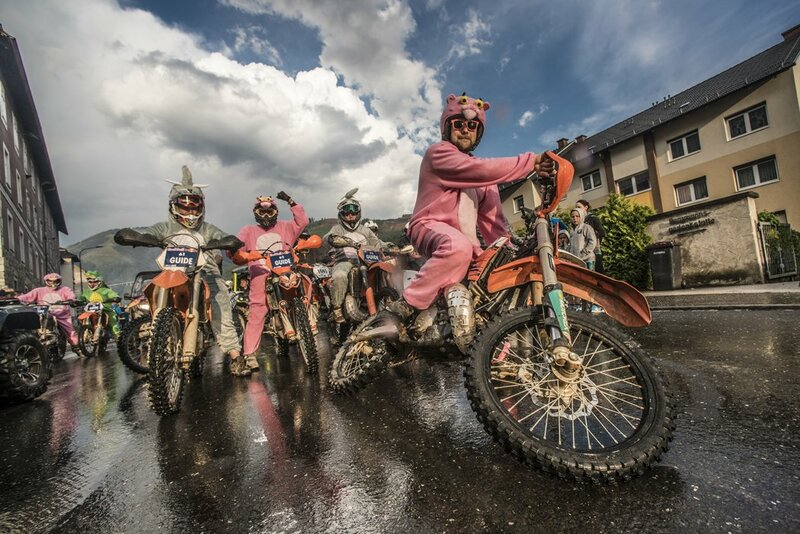 Competitors prepare to race the prolog of the Red Bull Hare Scramble 2016 in Eisenerz, Austria on May 27, 2015. 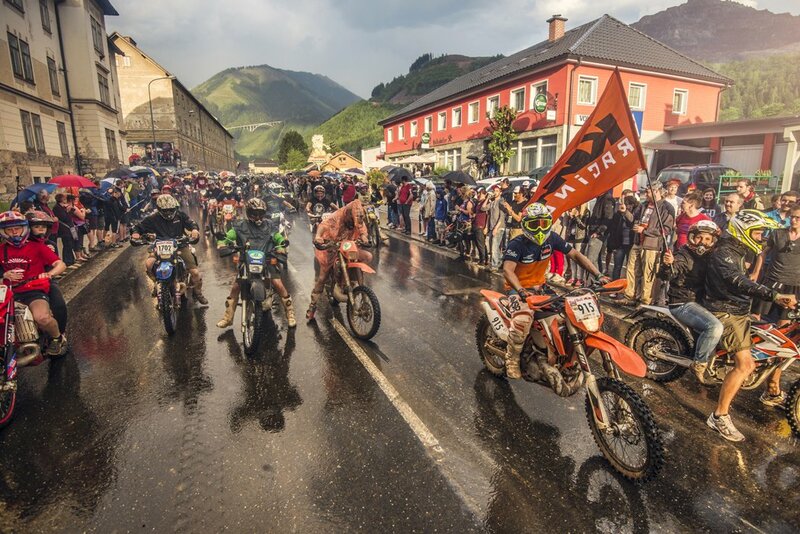 Venue of the Red Bull Hare Scramble 2016 in Eisenerz, Austria on May 27, 2016. 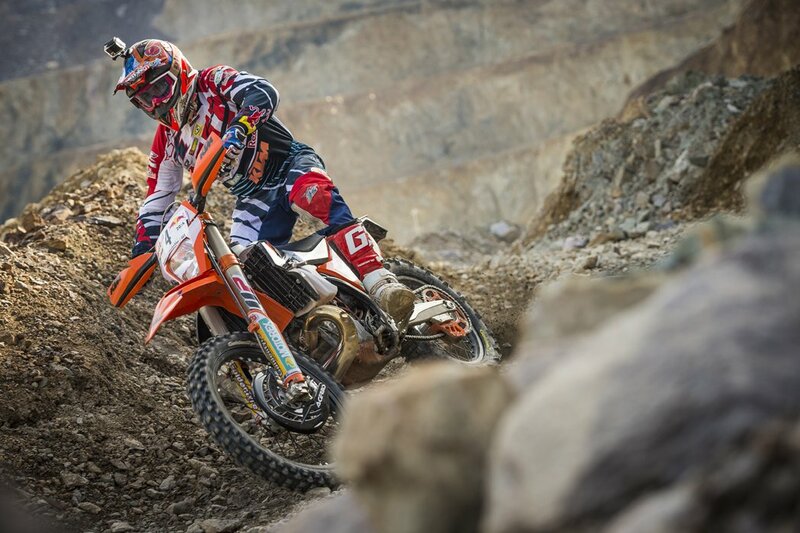 Graham Jarvis performs during the prolog of the Red Bull Hare Scramble 2016 in Eisenerz, Austria on May 28, 2016. 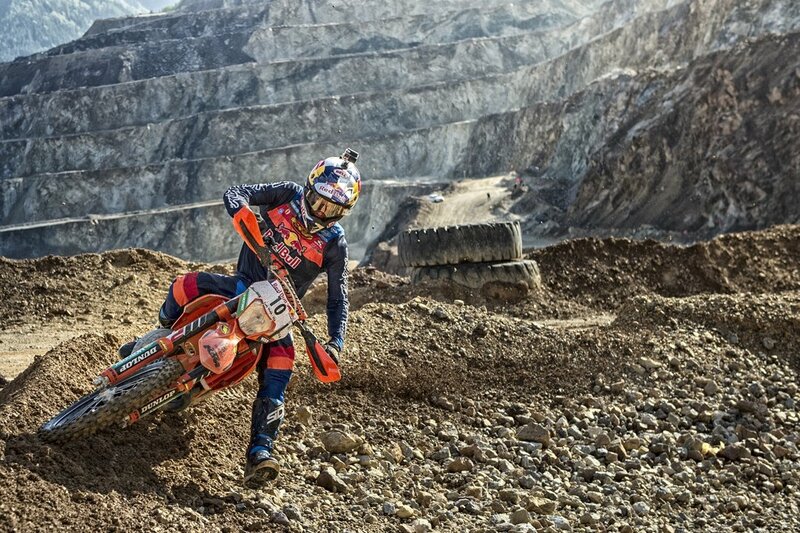 Alfredo Gomez performs during the prolog of the Red Bull Hare Scramble 2016 in Eisenerz, Austria on May 28, 2016. 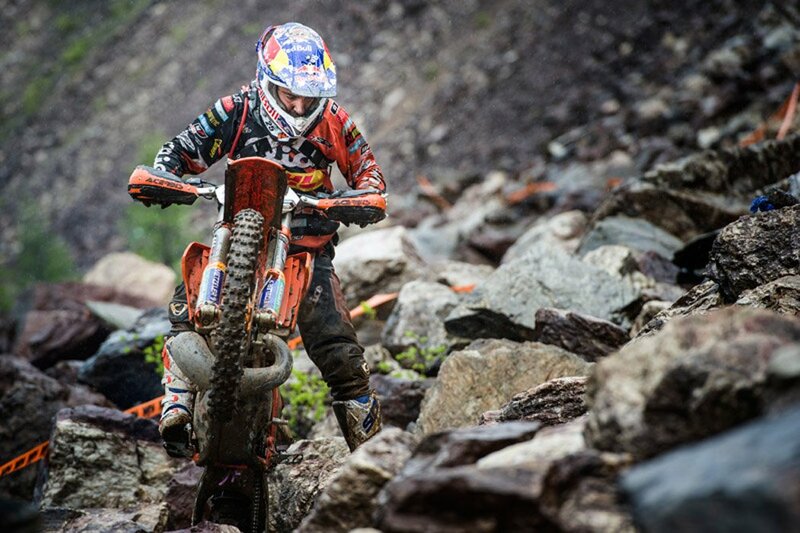 Wade Young performs during the prolog of the Red Bull Hare Scramble 2016 in Eisenerz, Austria on May 28, 2016. 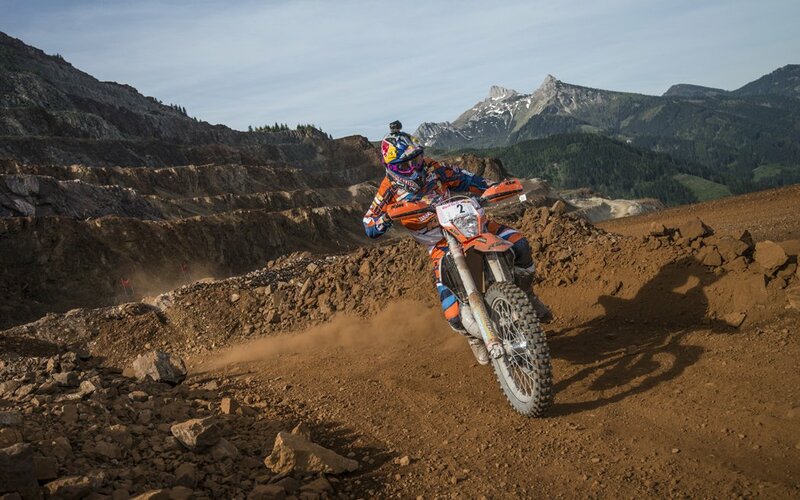 Cody Webb performs during the prolog of the Red Bull Hare Scramble 2016 in Eisenerz, Austria on May 28, 2016. 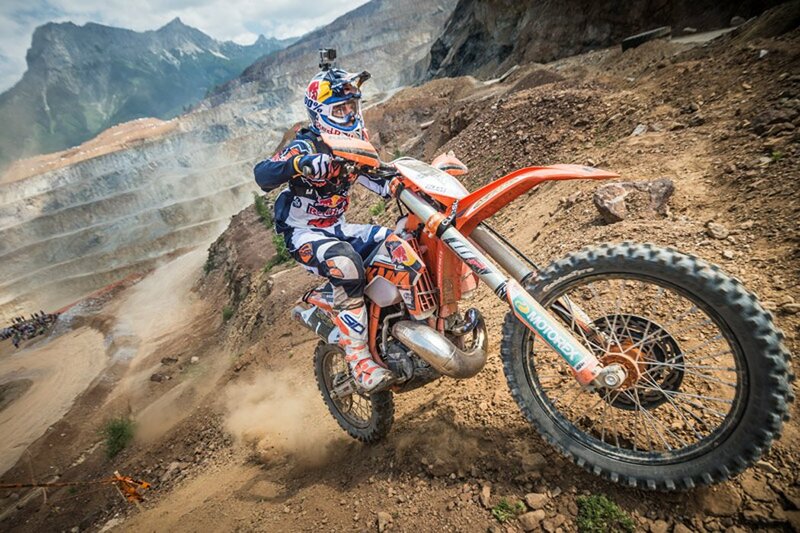 Taddy Blazusiak performs during the prolog of the Red Bull Hare Scramble 2016 in Eisenerz, Austria on May 28, 2016. 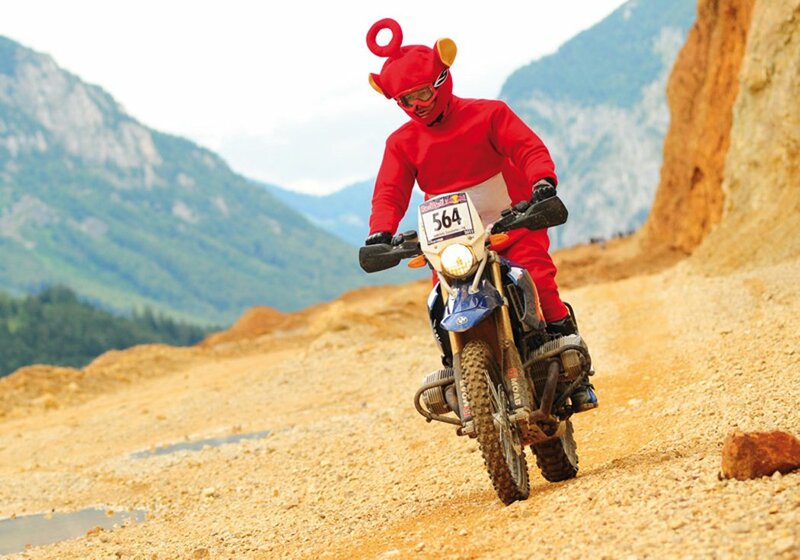 Competitor performs during the prolog of the Red Bull Hare Scramble 2016 in Eisenerz, Austria on May 28, 2016. 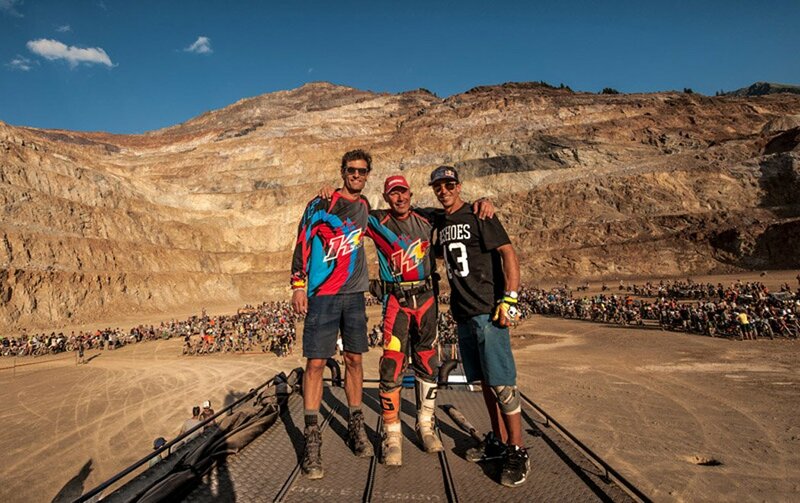 With three Red Bull Hare Scramble wins to his credit Jonny Walker returns to the Iron Giant this year having been forced to watch the ErzbergRodeo last year following an injury. 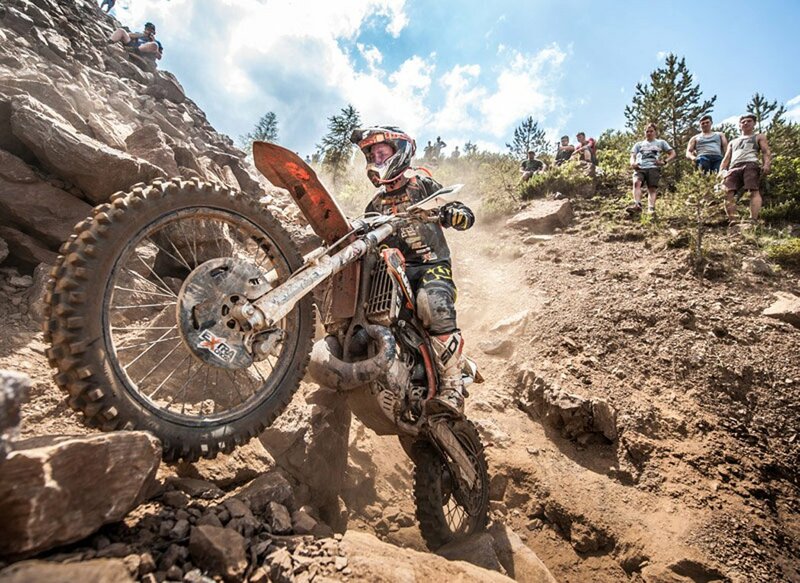 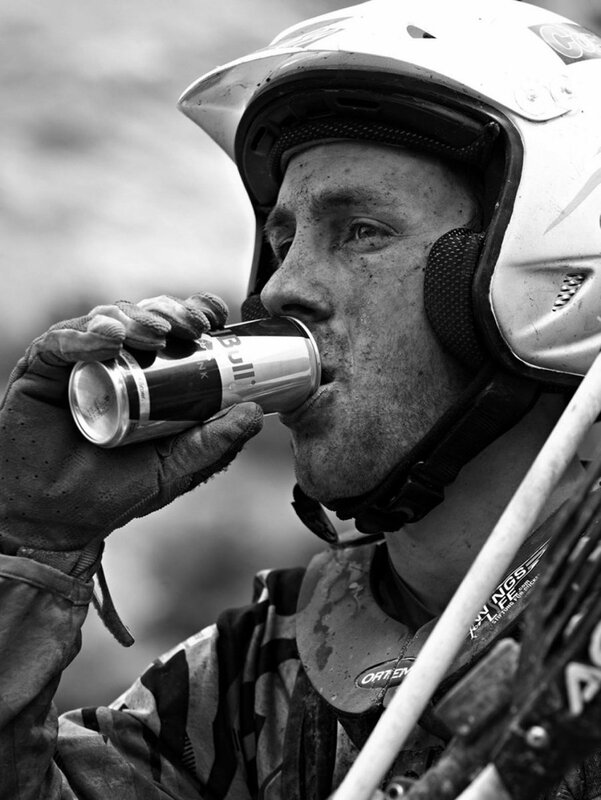 Fired up and 100% healthy his goal is to challenge for a fourth Hare Scramble crown. 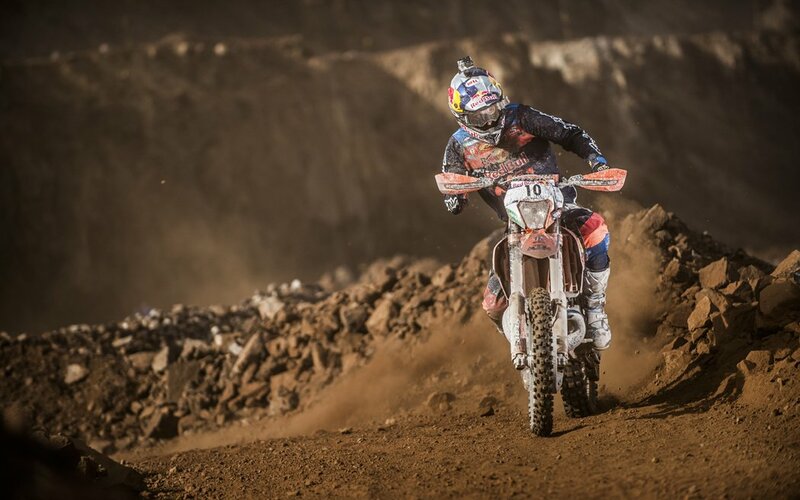 Last competing in 2015, Walker did the double – posting the fastest time in the prologue before going on to be named as one of four winners together with Graham Jarvis, Andreas Lettenbichler and Alfredo Gomez. 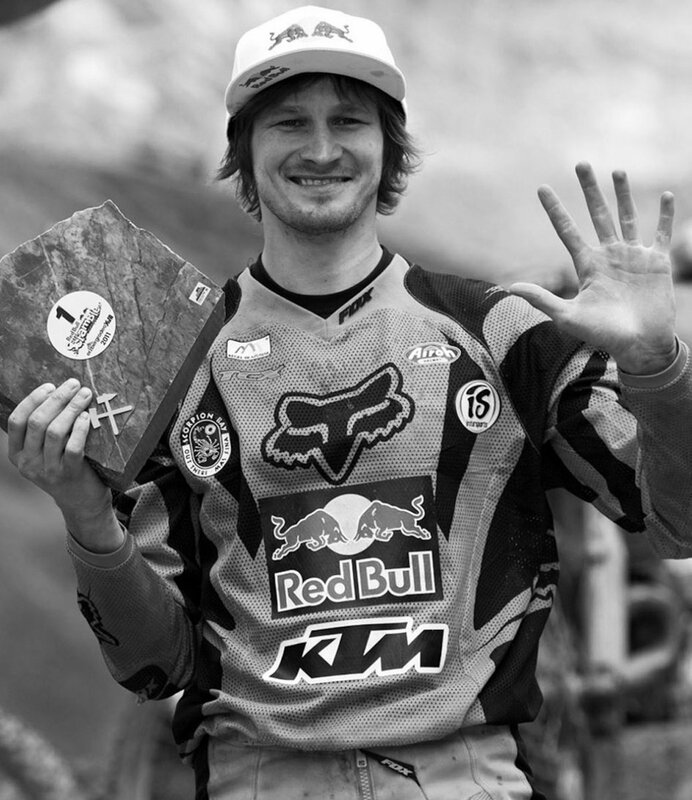 Jonny’s previous victories came in 2014 and 2012. 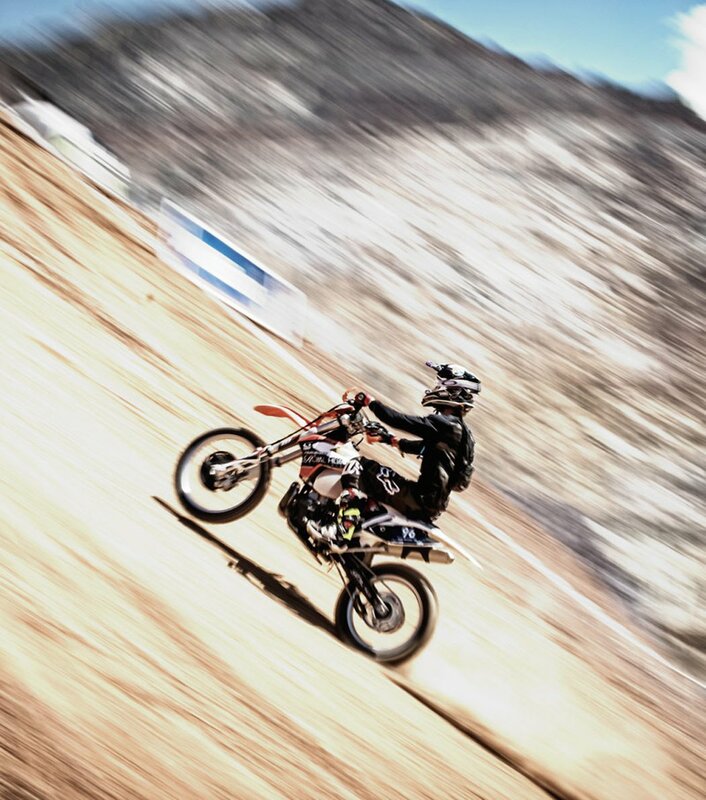 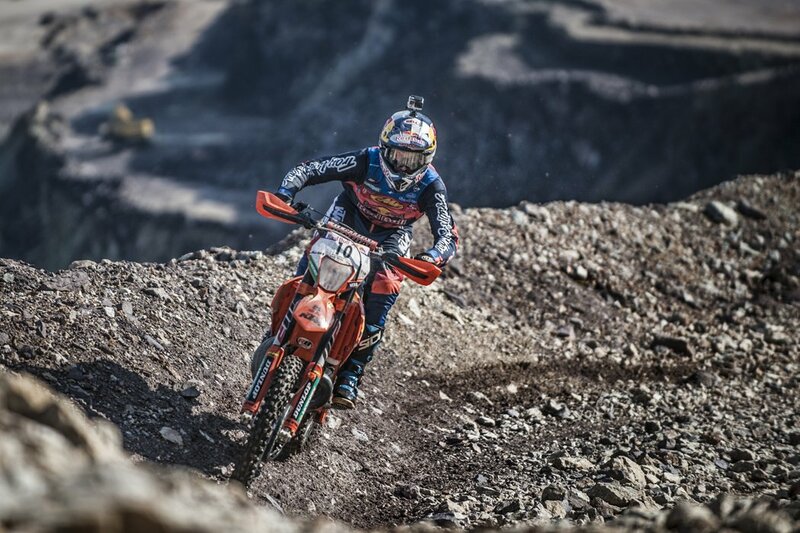 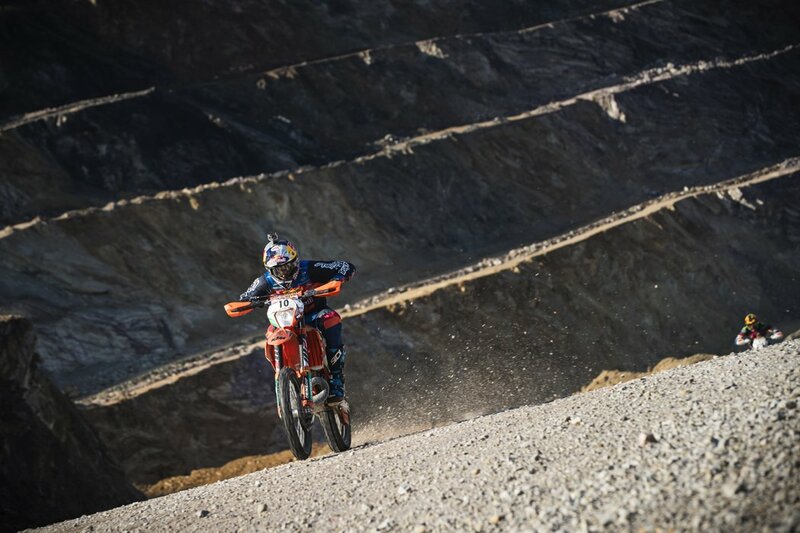 KTM’s highest placed rider in the Red Bull Hare Scramble in 2016, Alfredo Gomez heads into this year’s event in impressive form. 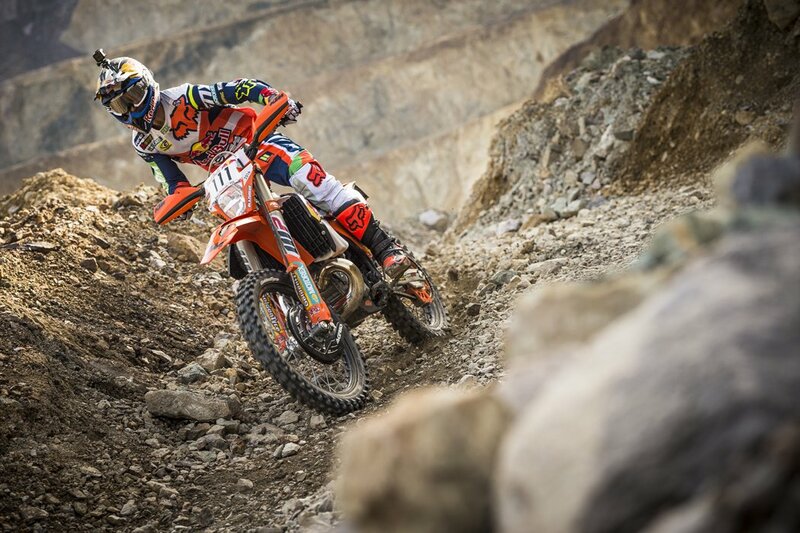 Despite a number of small falls in recent events hampering his final results, Gomez knows he has both the speed and experience to challenge for a podium result. 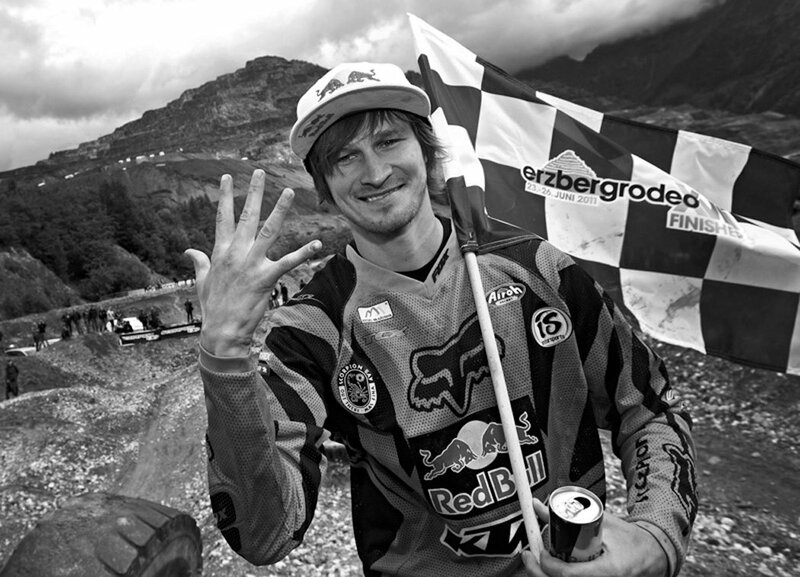 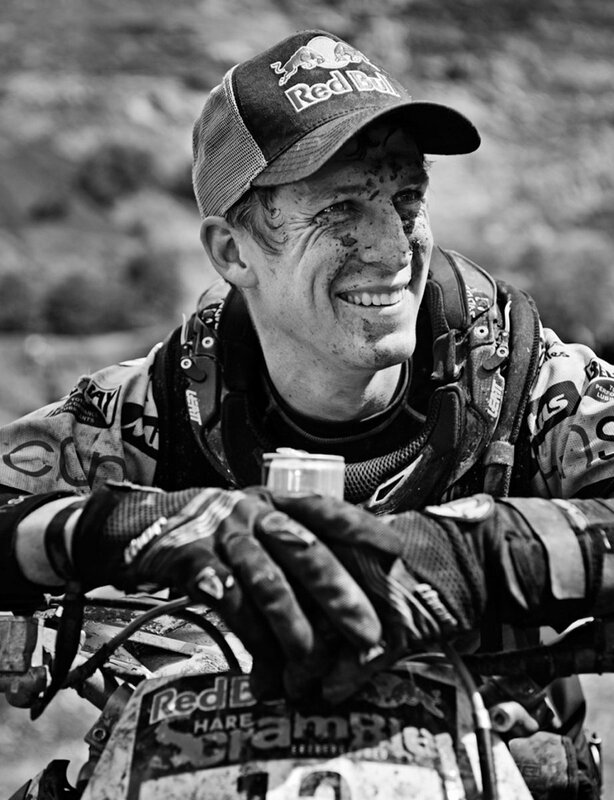 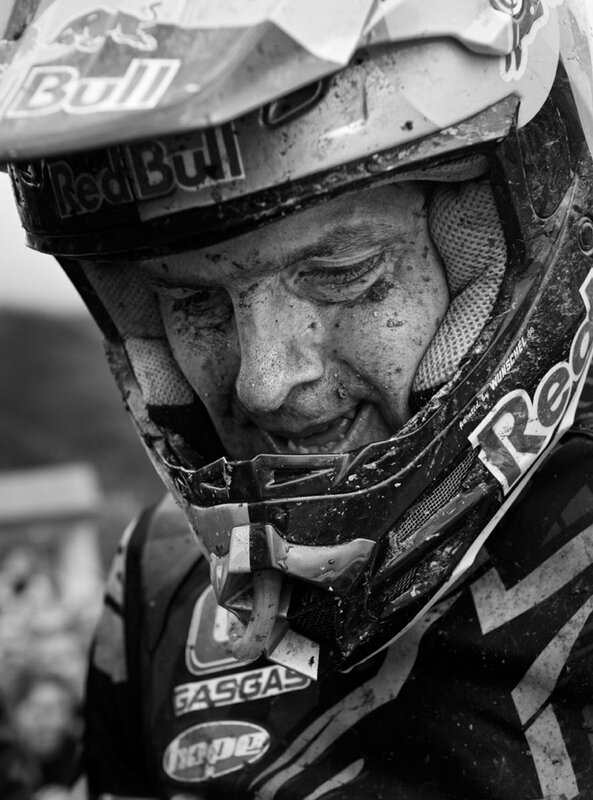 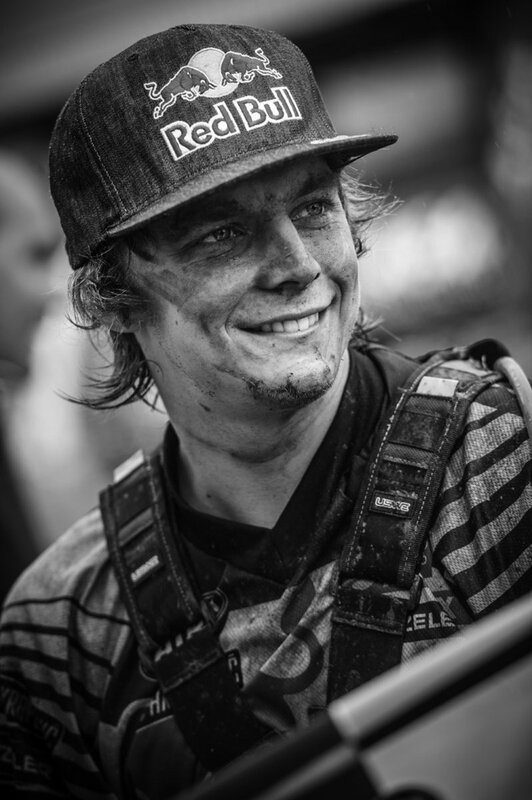 Joining both Walker and Gomez is Cody Webb – the first ever American to finish on the podium at Erzberg with his runner-up result in 2016. 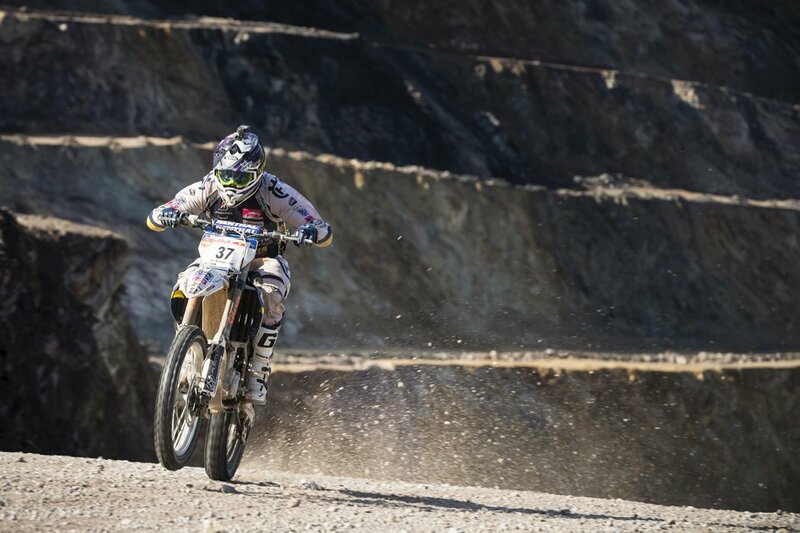 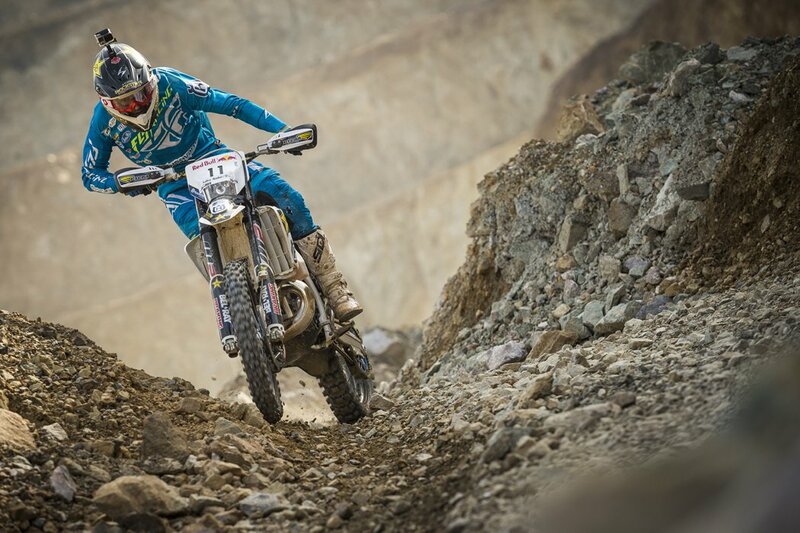 Carrying great form into this year’s event having finished as a strong runner-up to Graham Jarvis at Red Bull Minas Riders in Brazil, Webb will be looking to go one-better than his 2016 Erzberg finish and challenge for the win. 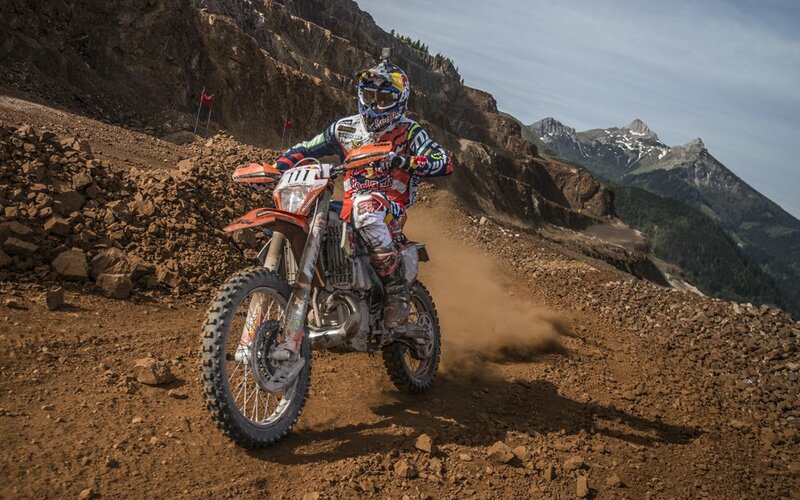 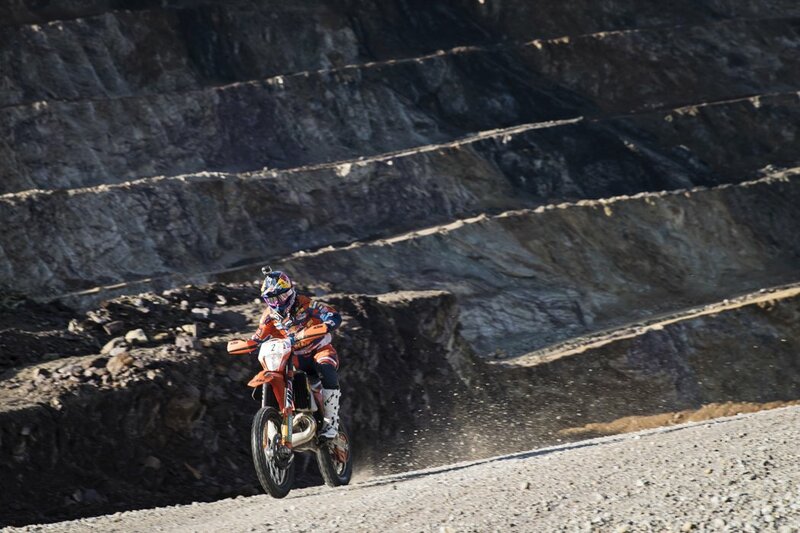 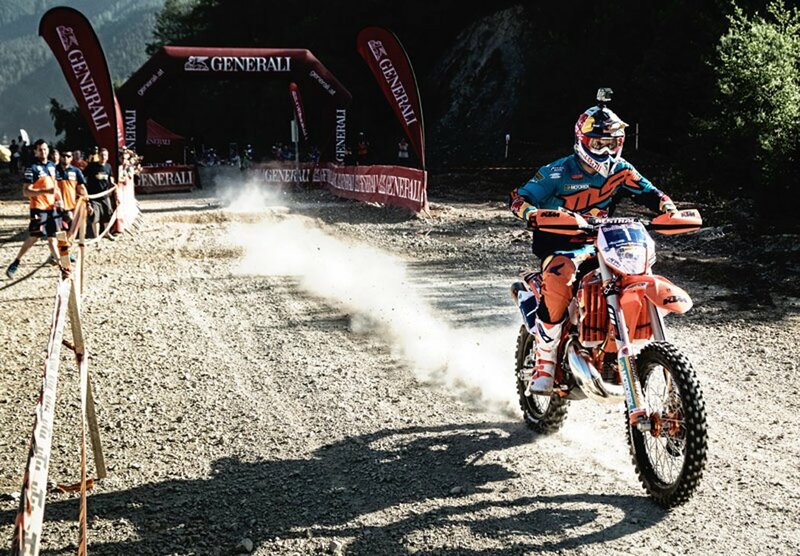 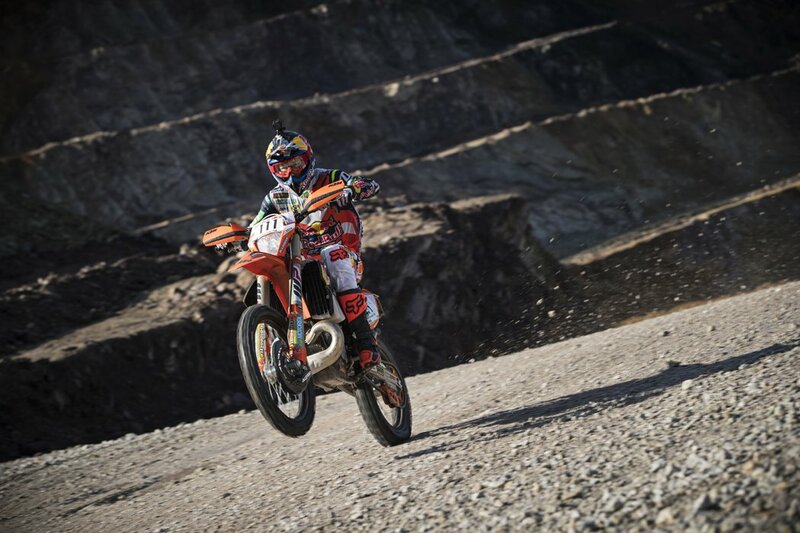 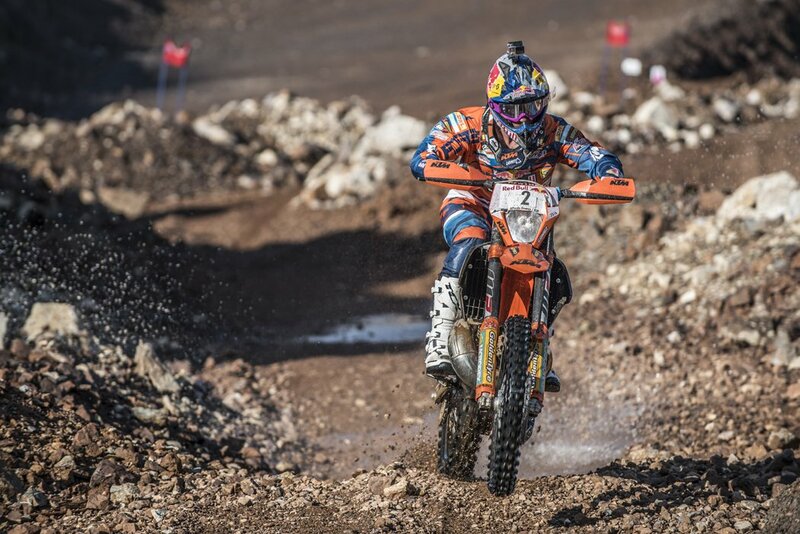 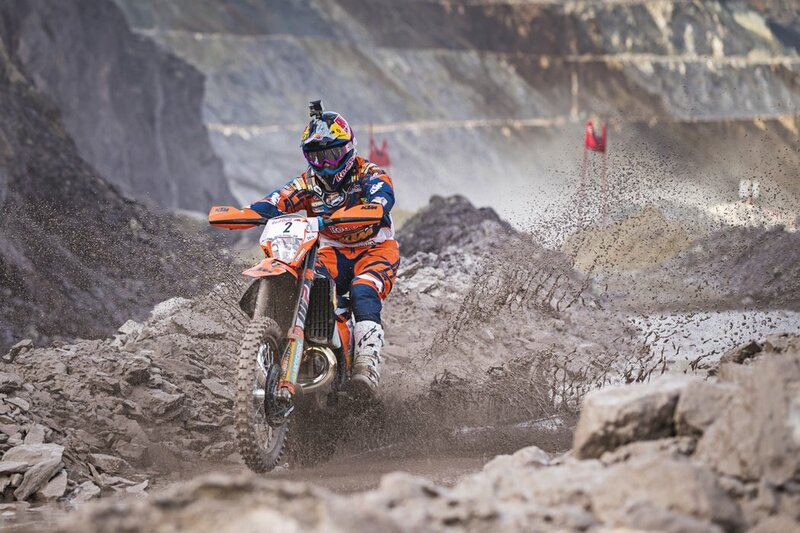 Also, competing in the prologue will be Red Bull KTM Rally Factory Racing team rider Mathias Walkner, who will participate on his KTM 450 Rally machine. 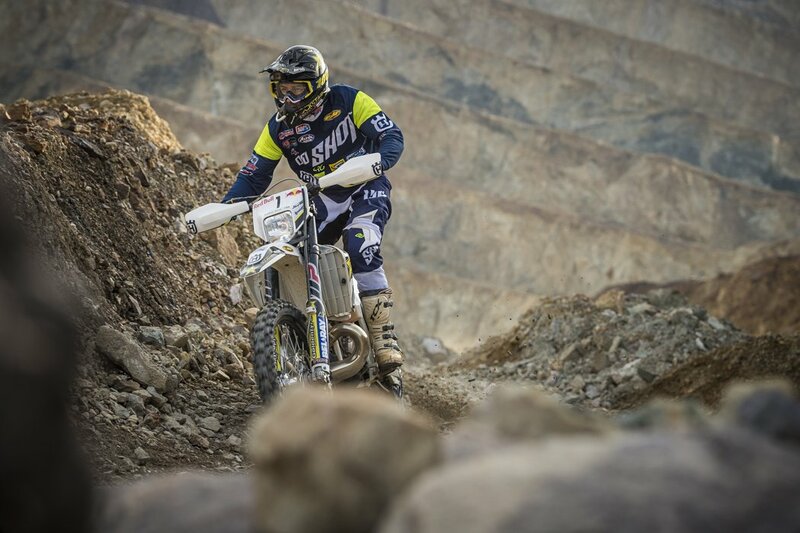 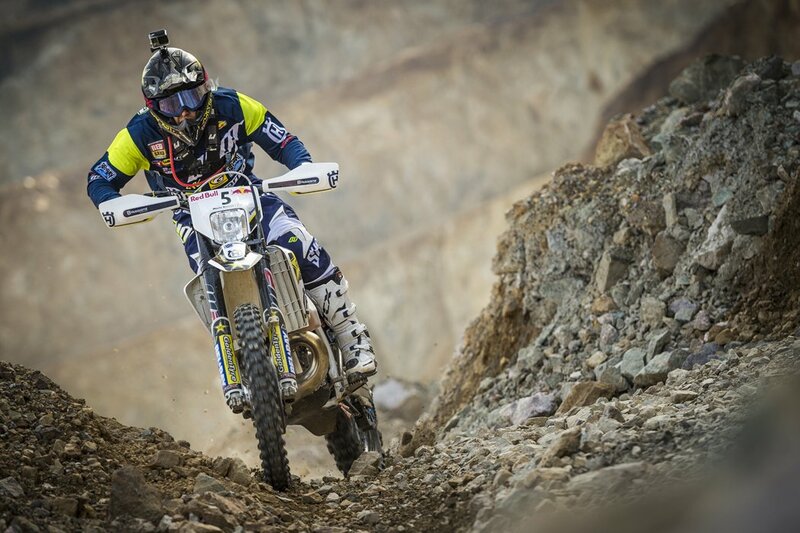 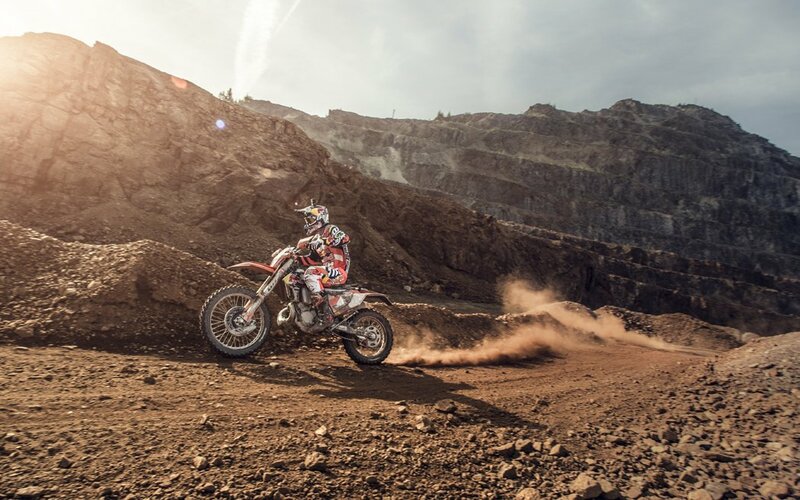 Dakar Rally runner-up, Walkner, who topped the warm-up Rocket Ride event in 2014, will unleash his powerful rally bike as he goes all-out to post the fastest time up the 13.5km prologue. 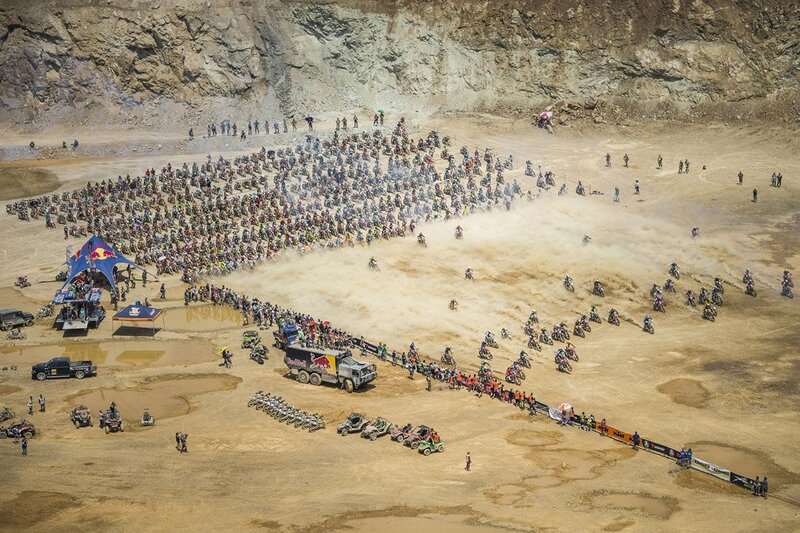 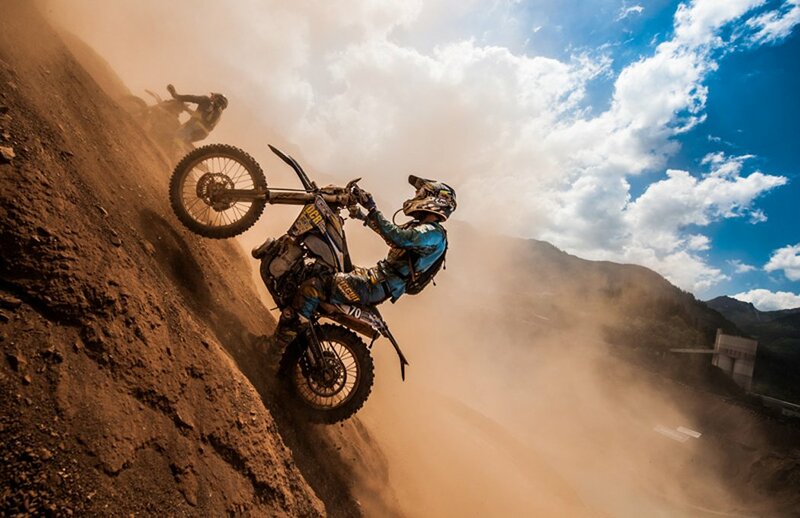 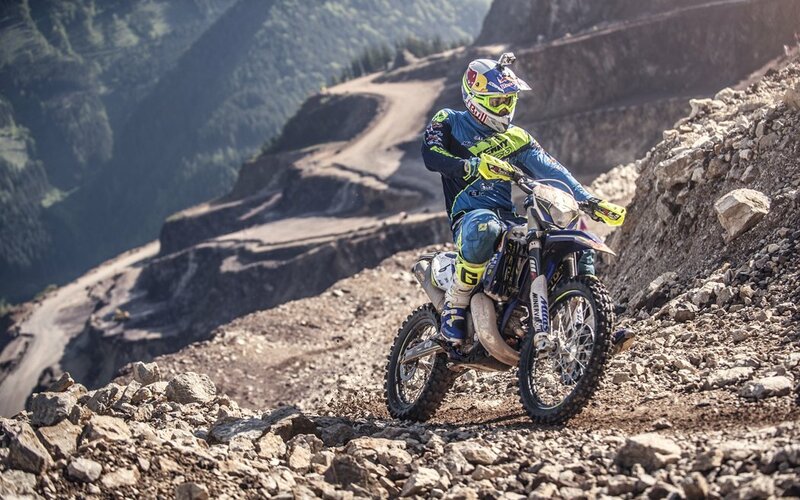 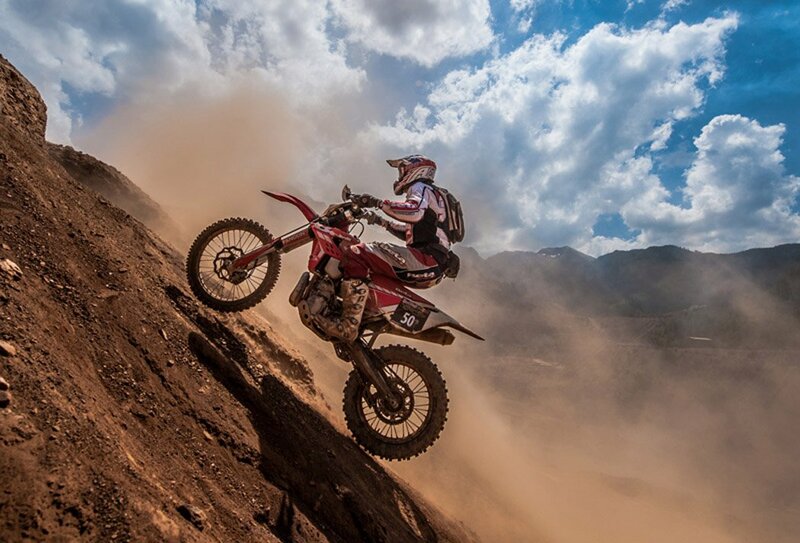 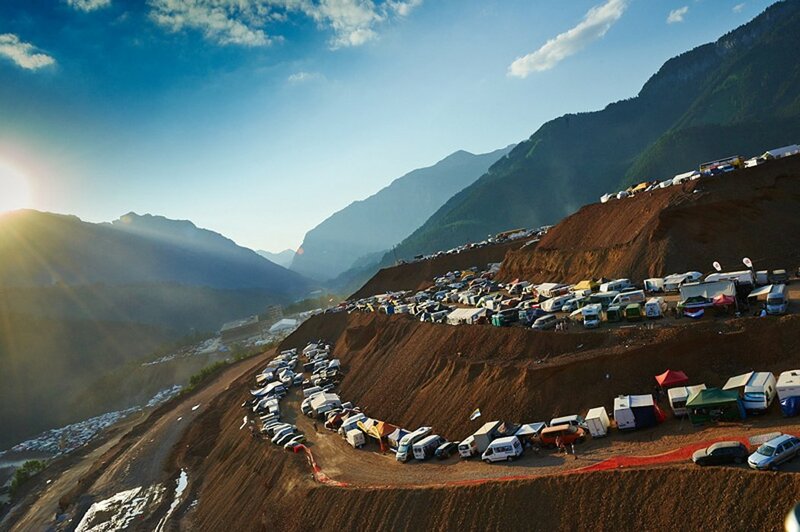 The 23rd running of the ErzbergRodeo starts on Friday, June 16th with the Red Bull Hare Scramble taking place on Sunday, June 18th. 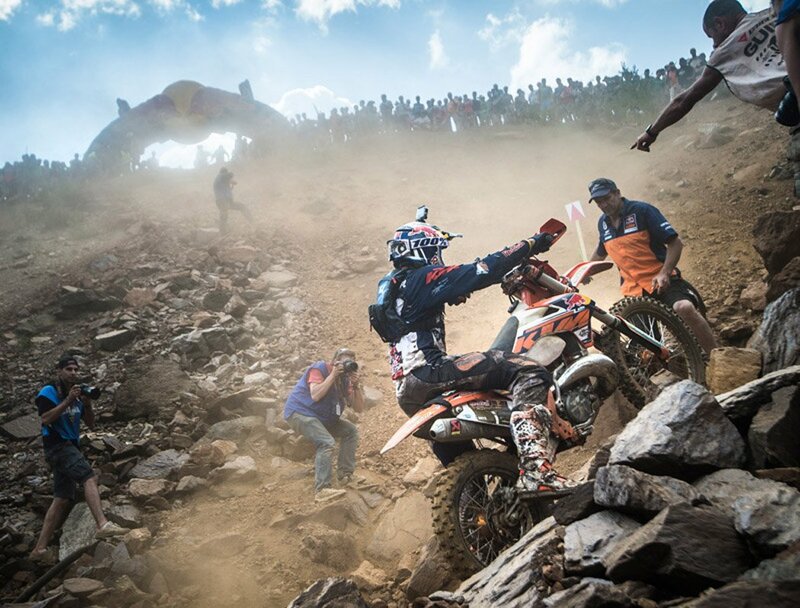 The Red Bull Hare Scramble will be broadcast live, for more info check out the KTM Factory Racing Facebook page for details.